Alcatel has moved their own standard when it comes to quality smartphones. With its aim to impress the market with its up-to-date technologies, this newly launched smartphone phablet is continuing the brand’s legacy when it comes to quality and affordable devices. 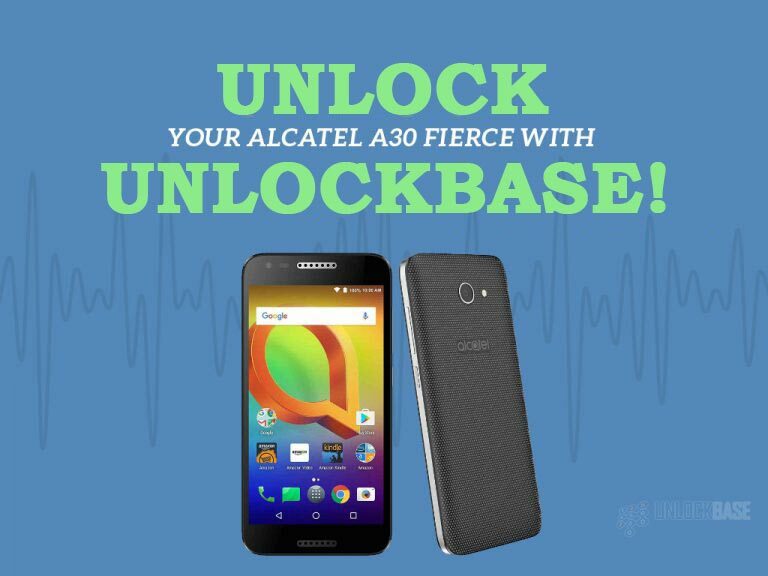 The Alcatel A30 Fierce (OT-5049Z) was released earlier this year. It is a good looking 2017 phablet considering its body structure and curvy edges that allow a good grip on the device. The unit weighs a decent 157g. It measures up to 5.98 x 3.04 x 0.33in (making it ideal for everyday use). Definitely, the handset has provided smart detail allocation considering its placement of camera, sensors, and buttons. Going into front view, the speaker, front camera, and sensor take the upper part of the panel. The bottom part, on the other hand, looks seamless given that Alcatel has integrated the in-cell navigation buttons into the display. The phone also instills the usual volume rocker and power button setup on the right side. Flipping the phone, it has a surprising circular shaped fingerprint sensor with metal outline comes along with the LED flash and rear camera. Plus, of course, the Alcatel logo not far below. Moving forward to its display, much can be said that A30 Fierce is not your typical phablet. Along with a good 5.5-inch 720p display, it also includes a 2.5D Dragontrail Glass screen panel that is capable of 16M colors at 267ppi pixel density, great for HD viewing. Alcatel has stepped up their game when it comes to its camera. The handset is then equipped with a great 13MP rear camera that is capable of autofocus, panorama, and other special features that allow the unit to produce vibrant, HD photos that consumers can share on their social media accounts. Moreover, the unit is also capable of shooting videos at 30fps – and at 1080p max. Not leaving the front-facing camera far behind, the A30 Fierce is also equipped with a 5MP front camera – which is best for taking the perfect selfies at any time of the day. 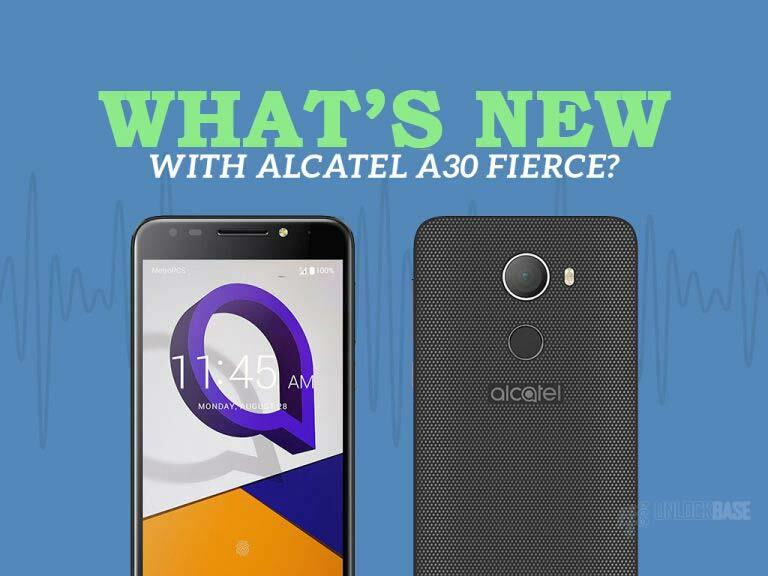 The Alcatel A30 Fierce phablet is serving consumers great connectivity protocols along with its carrier. 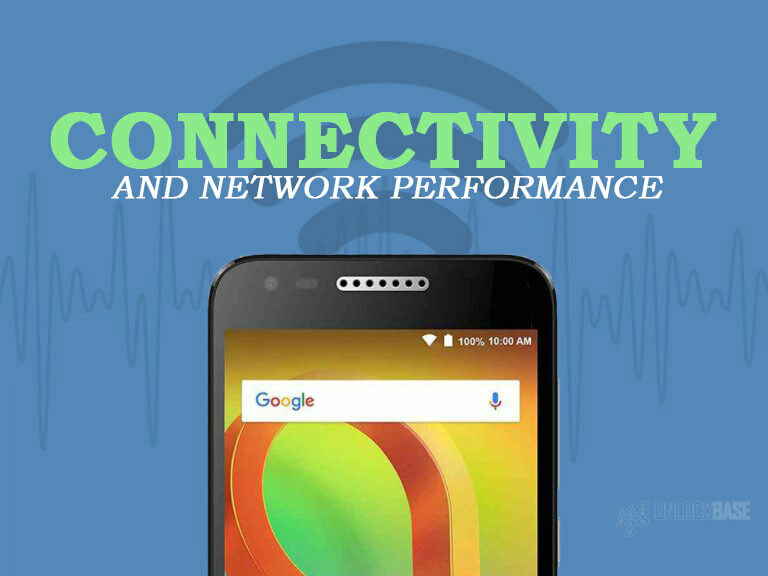 The unit supports both 3G and 4G LTE network connections – ideal for fast, reliable network performance. More so, the unit is also capable of Wi-Fi 802.11, Bluetooth 4.2, A-GPS, and Micro USB 2.0 connectivity. All necessary for usual phone activities such as sharing files, searching locations, and connecting to the internet. 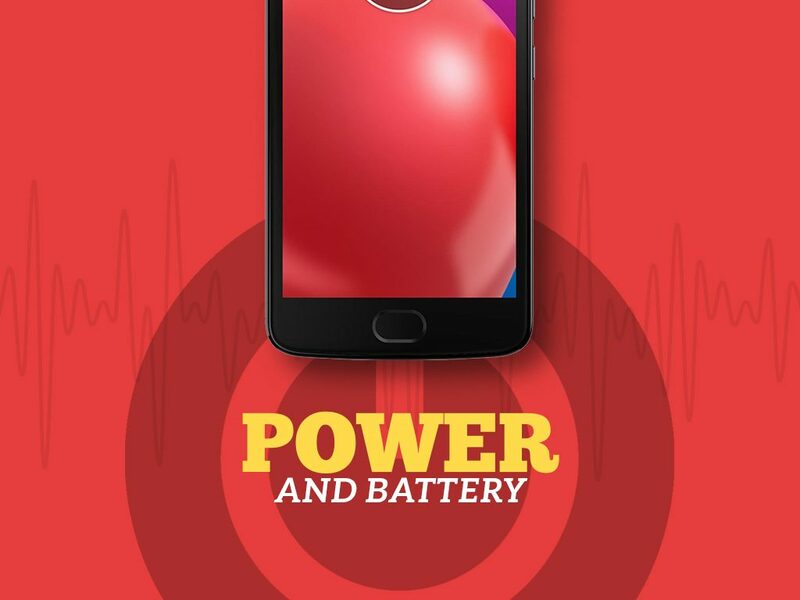 The A30 Fierce aims to cater to the need of consumers of a long lasting battery life, thus, the 3000mAh capacity of the unit’s non-removable battery. 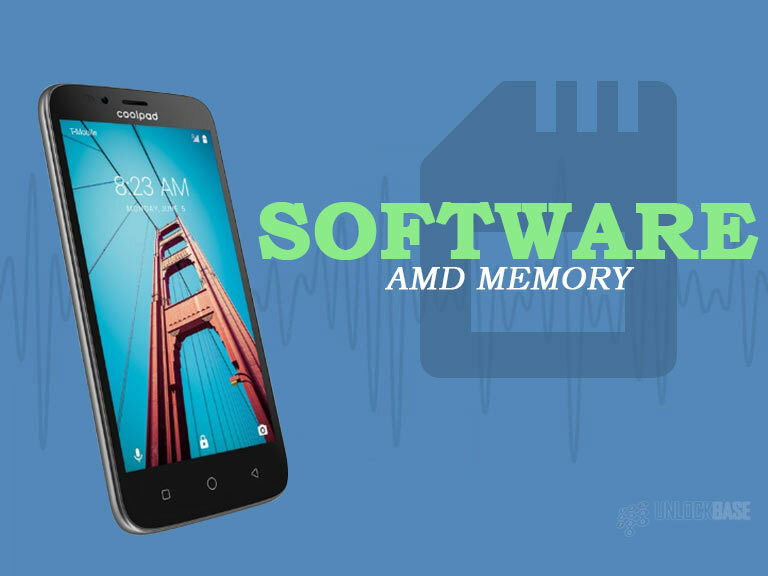 It is a particularly smart move given that the unit is also equipped with a Mediatek MT6738 processor along with a quad-core Cortex-A53 clocked at 1.5GHz. Thus, enabling a smooth turn-around of several tasks. 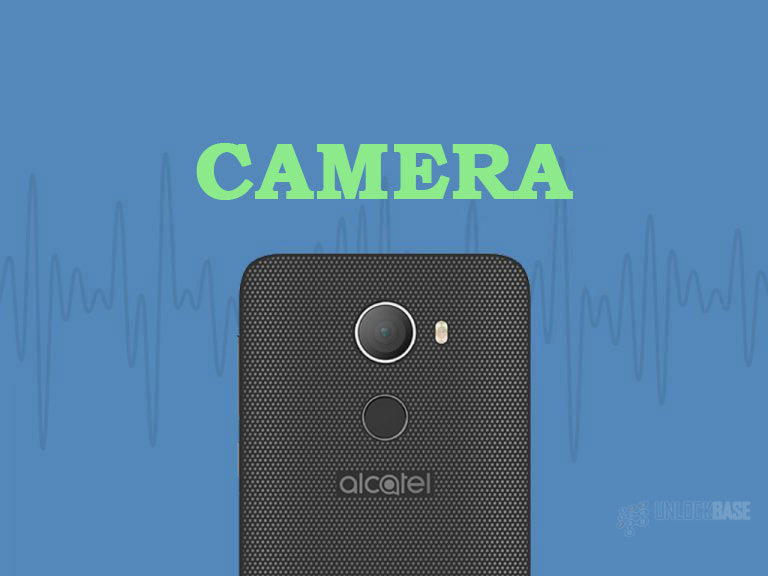 With great battery life and processor, what more can Alcatel offer on its A30 Fierce? The answer is a good 2GB of RAM along with a 32GB built-in storage and a Micro SD slot in the event that the user wishes to extend the unit’s storage capacity. Additionally, the Alcatel A30 Fierce thankfully runs in Android 7.0 Nougat and can still be upgraded to a newer version of the Android operating system. Thus, keeping up to date with the latest technology trends. Aside from those, the new Alcatel unit is also impressing the market with its 3000mAh capacity that is well-complemented by MiraVision, a technology by Mediatek that helps enhance images and videos without compromising your battery life. More so, it also includes a night mode for a dimmer display at night. The Alcatel A30 Fierce is also equipped with the cloud-based assistant developed by Amazon, Alexa. It aims to provide users convenience when looking for great items when shopping, keeping updated with the news and the weather, and even controlling your items at home. What’s more interesting is the fun fact that it’s learning while you are using it! 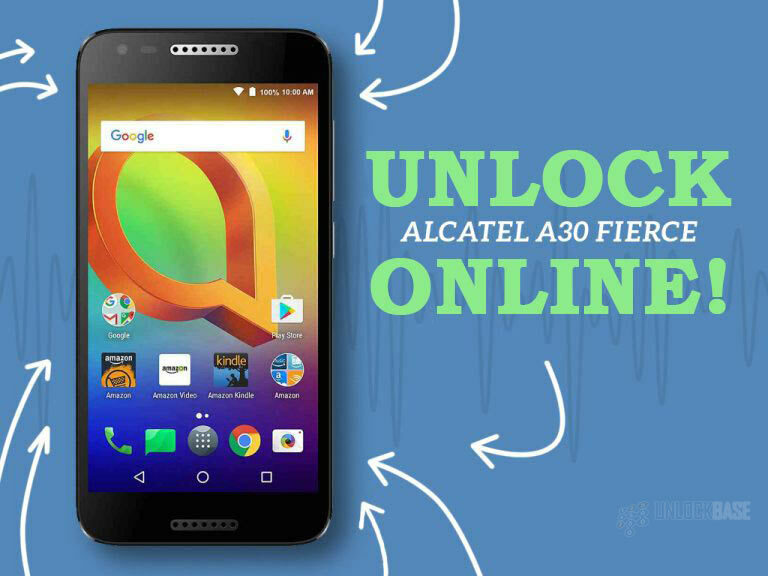 Excited with your new Alcatel A30 Fierce? The specs are definitely a great deal, but with network compatibility issues hindering you from enjoying the best of your smartphone, it can really be a problem. Enter: UnlockBase. 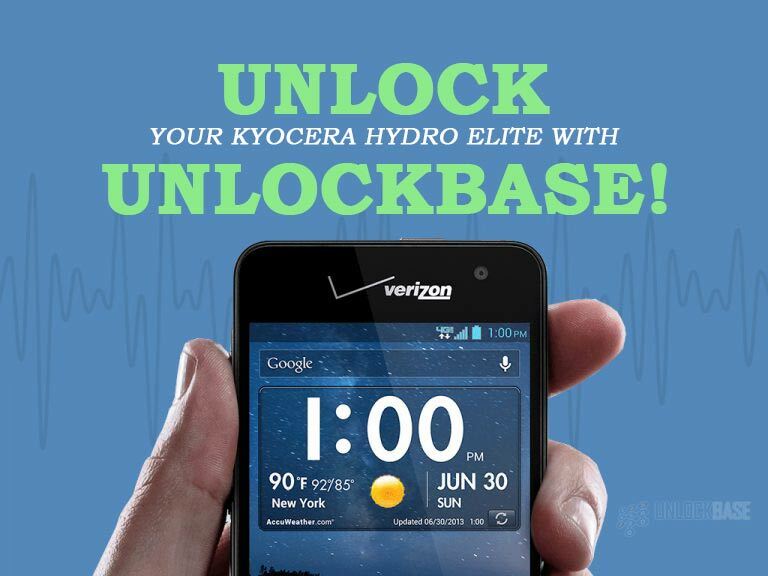 UnlockBase is an internet-based unlocking service known for its great service from across nations. It is equipped with an app called Device Unlock APP that allows a simple request and apply it in order to get your phone unlocked. All in the comfort of your very own device. No manual codes required! Try it now! Kyocera has been known to produce waterproof smartphones; great waterproof smartphones at that. Today, it did not only produce one waterproof smartphone, but one that every user will find very different from its Hydro series. 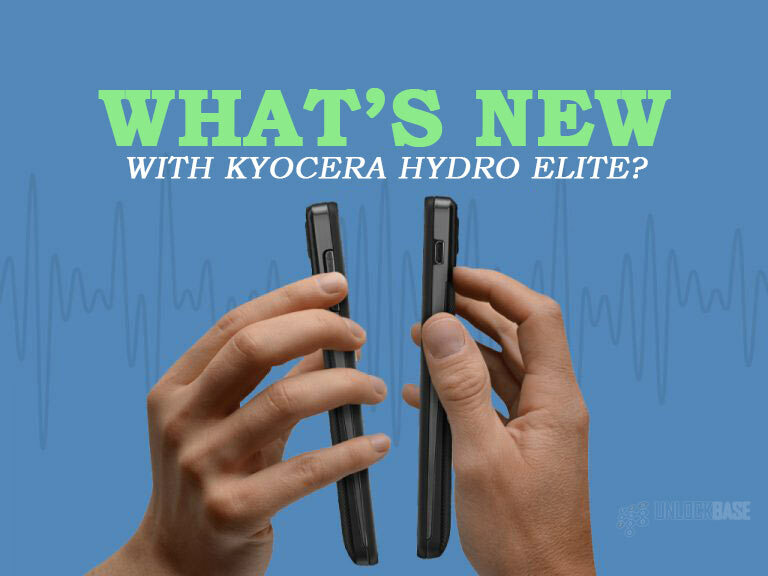 It has moved the bar with its new and improved features, living up to its name Kyocera Hydro Elite. The Kyocera Hydro Elite comes in a simple, (though a bit bulk) black-colored plastic over-all design measuring up to 4.82 by 2.38 by 0.43 inches and weighing up to 4.52 ounces. However, unlike its predecessors, the Elite is more minimalistic and modern. More so, the edges were much more premium and sleek this time. The rear part also comes off as rubberized, thus, it is easier to hold the device. The placement up front is pretty common, apart from the non-inclusion of the in-ear speaker. 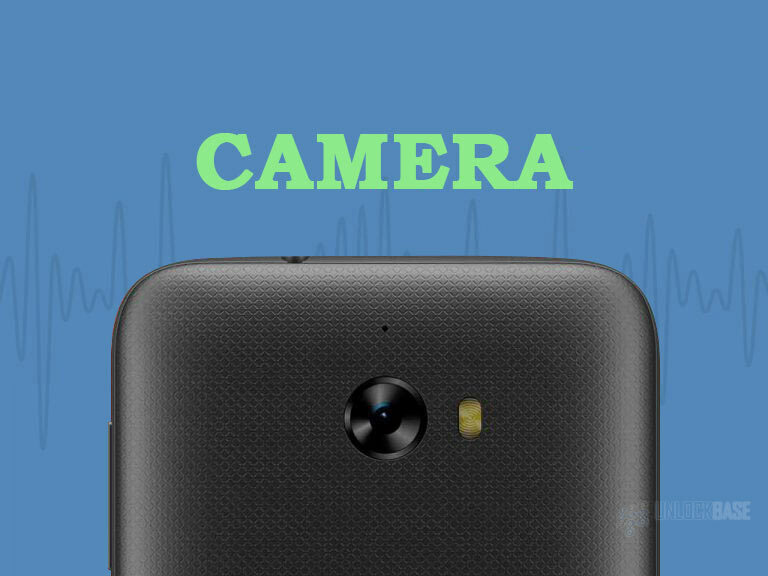 The selfie-camera is located beside the sensor for notifications at the upper half, and then the brand’s logo at the bottom. Going to the sides, the power button along with the 3.5mm audio jack is placed at the top, the volume rocker at the left, and the Micro USB port on the right. This makes it easier for the user to reach the necessary buttons whenever needed. Similar to common placements, the rear camera is located at the back of the unit. It also has the speaker and the LED flash at the sides, creating a minimal yet not too distracting setup at the rear’s polished top half. However, the bottom half of the unit was differently designed given that it has a matte, dimpled texture that helps prevent the handset from slipping from the user’s grip. It makes sense as the bottom half is removable for the user to access the battery and the Micro SD and SIM card slots. What makes the Kyocera Hydro Elite much better than its predecessors is that it is now designed with the standard display panel for mid-range phones, a good impact-resistant 4.3-inch LCD display with 1280 by 720-pixel resolution. 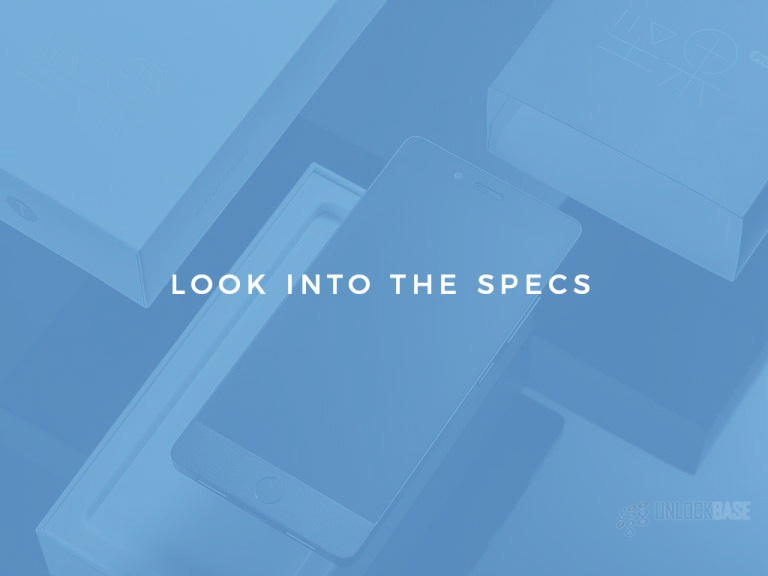 The said specs allow a clear viewing over the display of the phone, both images and text, and a bright viewing for outdoor use. More so, the brand shifts from the usual capacitive home, back, and recent app buttons to the standard mid-range on-screen buttons display. Going further with its optimized specs, the handset flaunts an 8MP rear camera equipped with LED flash and impressive features such as autofocus, digital zoom, and extra modes and effects for better shots. The selfie camera, on the other hand, has toned-down the camera effects and can only take photos in three particular sizes. 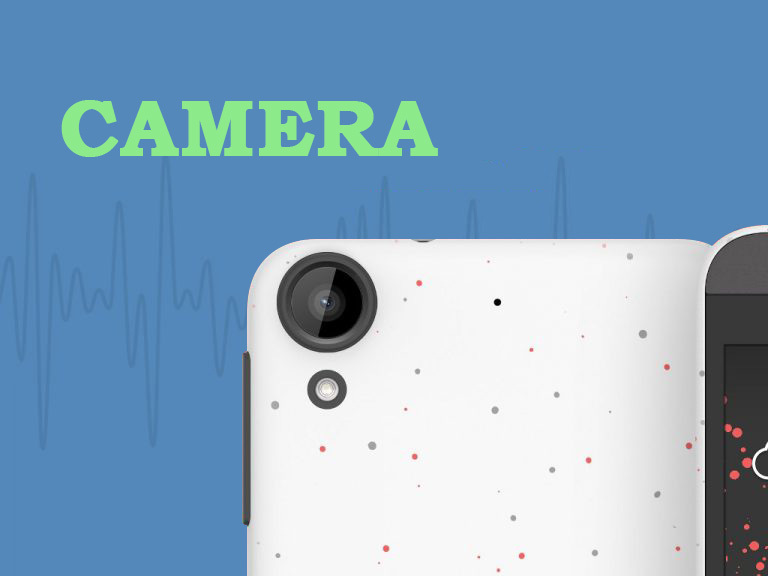 Of course, along with the camera feature, the handset is also capable of shooting good videos with a quality mounting up to 1080 pixels for the rear camera and 720 pixels for the selfie camera, and are equipped with particular video options such as audio muting, white balance, brightness, exposure, color effects and others. 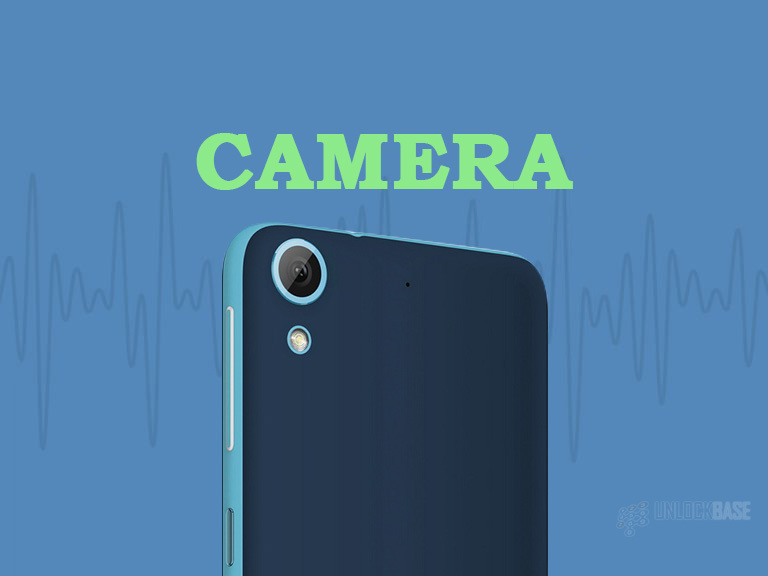 However, unlike the selfie camera, the rear camera’s capability is much more advanced especially that it allows digital zoom, auto and touch focus, time lapse, contrast meter, flash, and a number of video qualities that the users can choose from. What maybe the best thing about the new Kyocera unit is that it is capable of 4G/LTE signal reception. It even performed a good 22Mbps download and 8Mbps upload on a speed test conducted by Phone Arena. More so, it also supports a handful of great connectivity protocols such as Bluetooth 4.0, A-GPS, dual-band capable Wi-Fi 802.11, and NFC. 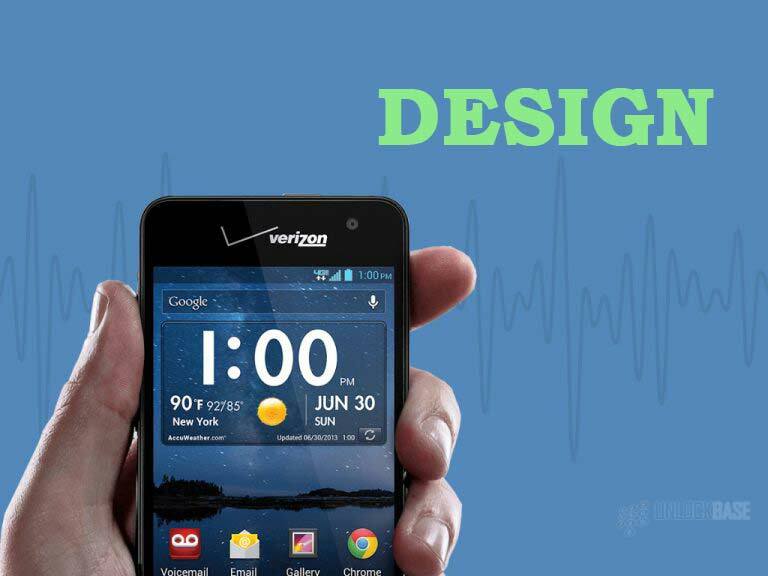 Giving life to the handset is a 1.5 GHz dual-core Qualcomm MSM8960 Snapdragon S4 Plus processor along with a 1.5GB of RAM. Now, the great thing about this is that it operates beyond the figures, allowing a number of apps to run – hence, avoiding lags upon usage. 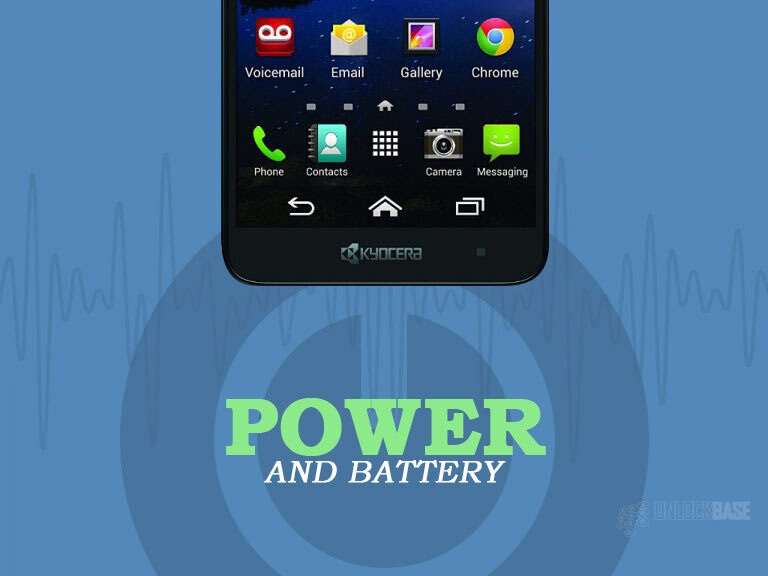 With regards to the battery, Kyocera has equipped the Elite with a 2000mAh capacity battery to support a good 13 hours of talk time and/or almost 9 days of standby time. The Kyocera Hydro Elite operates on the Android 4.1.2 Jelly Bean and unlike LG, Samsung, and other smartphone brands, it is not topped with any custom UI layer made by the brand. Regardless, it is equipped with a starter and standard mode – wherein the starter mode allows first-time Android users to use the unit in an even more user-friendly interface given that it has larger icons and simpler access to menus and settings. In order to meet the global standard of mid-range smartphones, the brand has increased the storage size to a built-in 16GB internal memory plus a Micro SD slot capable of expanding up to 32GB. Truly, Kyocera has moved the bar of their waterproof smartphones’ specs to another level. One instance of which is the increase on the camera specs from 5MP to a good 8MP camera that is capable of vibrant snapshots and quality videos. Along with this is the 4G LTE capability of the handset that allows faster streaming on cellular data. Now, with regards to improved technology, the unit flaunts a Smart Sonic Receiver technology that enables the unit to transmit audio through the hard tissue inside the ear from the ceramic transducer incorporated within the device. This is also the reason why the handset did not display an in-ear speaker up front. Just put the phone near your ear and you can easily hear from the device given that this technology actually converts the phone’s display panel to a speaker. As expected, the Kyocera unit is also equipped with an improved waterproof protection from blowing rain and water immersion that could increase up to 1 meter within 30 minutes. However, the brand also notes that this is limited to fresh water and as much as possible, avoid dipping the phone in the pool or ocean water. Lastly, what Kyocera Hydro Elite offers its users when it comes to connectivity is its NFC capability which allows touch-and-send sharing of contacts, videos, pictures, and others. This phone also features wireless charging through its Qi-enabled wireless charging pad. 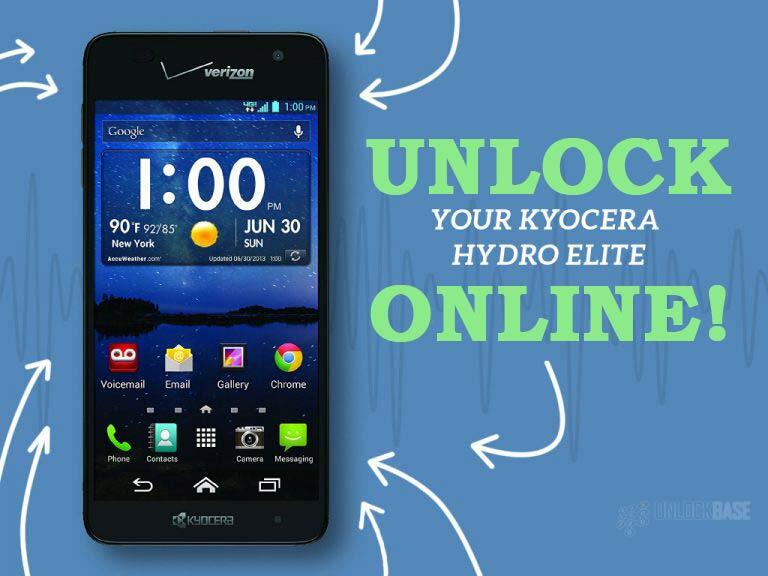 Have you purchased a Kyocera Hydro Elite lately? The beauty of the Kyocera unit cannot be denied. However, with the restrictions hovering over the network compatibility of the device, it may be hard to enjoy its perks. With that said, UnlockBase offers you the most reputable unlocking service over the Internet. How? It allows a simple request-and-apply for unlocking via the Device Unlock APP which can be performed on your very own device. No need for manual codes! Furthermore, UnlockBase has been known to provide fast and efficient service to a variety of smartphone brands and models – try it now! 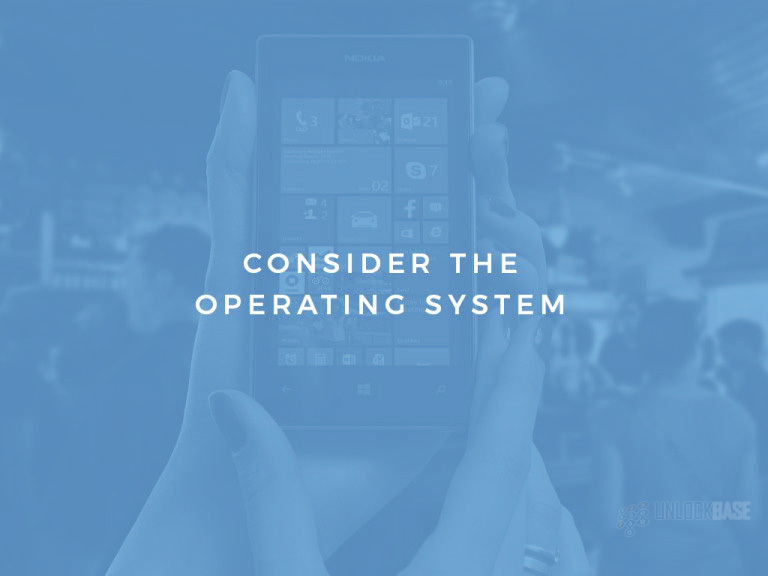 Consider the operating system whether it’s iOS, Android, or Windows. Look into the phone’s specifications to determine which suits your needs best. 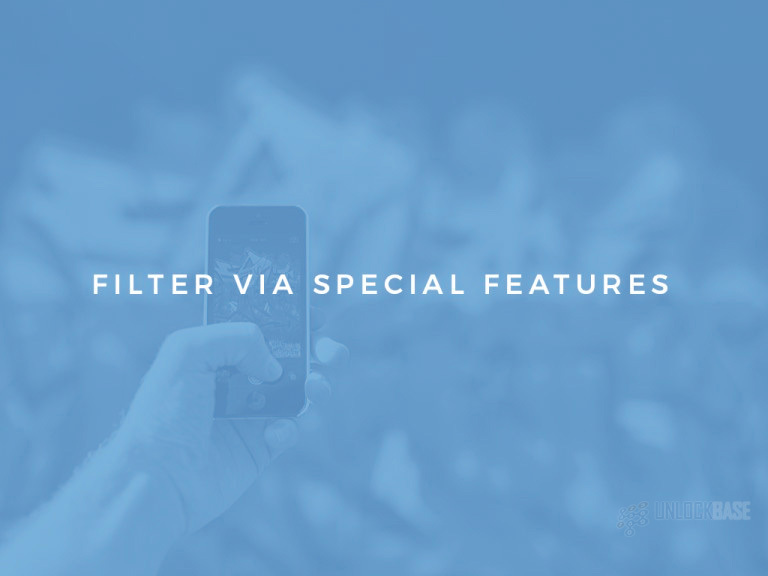 Filter your choices through the phone’s features and choose what’s useful for you. 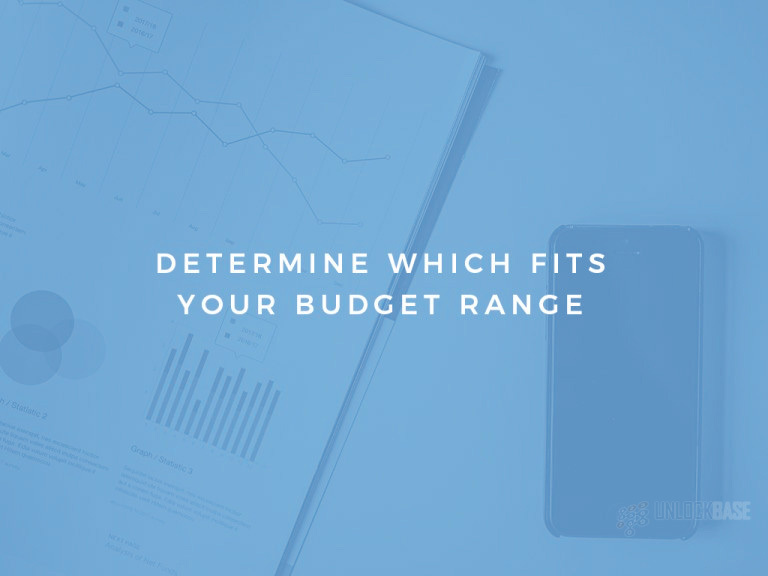 Determine which of your options fits best in your budget range. The competition in the smartphone industry is getting a lot tougher, with the variety of options from locked to unlocked devices courtesy of T-Mobile, Verizon, Sprint, AT&T, and smartphone manufacturers who made these magnificent units possible in the market. However, along with the variety of options that these carriers and brands have offered in the market, the difficulty in choosing the best smartphone for you might be harder than you thought. 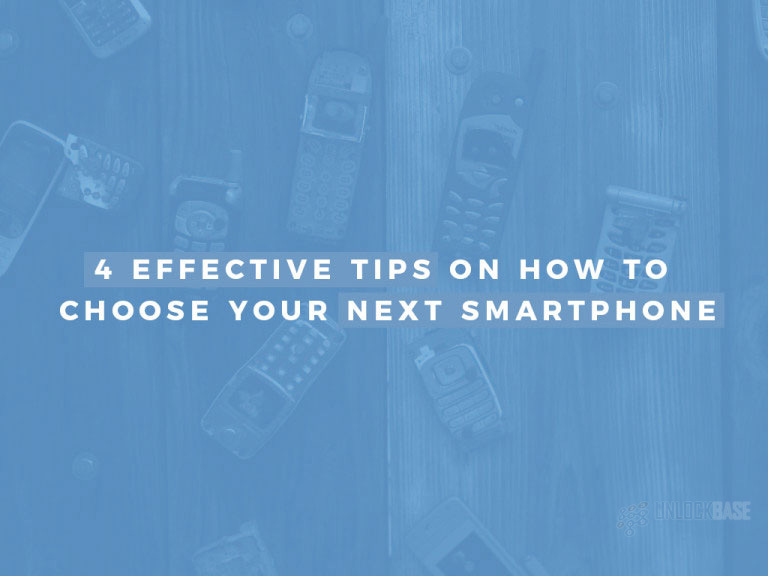 Hence, we are offering you four effective tips in choosing your next smartphone, which will definitely lead you to your perfect match! To better choose what you want for your next smartphone, you may consider the three main types of operating system that’s out in the market. Out of all these three, iOS and Android remains to be the majority’s favorites. Mainly because iOS offers convenience, security, and simplicity of its products. Android, on contrary, offers a variety of options for customization. Of course, Windows remains available on your options, in case you prefer a smartphone that is highly integrated with Microsoft products and high-quality camera lenses. To be able to check on the operating systems further, we recommend that you try a demo device at their stores. For tech savvy people, phone specifications or specs matters most. Practically, this helps them determine which smartphone is best fitted for their lifestyle: whether they are a gamer, a camera enthusiast, or an artist. 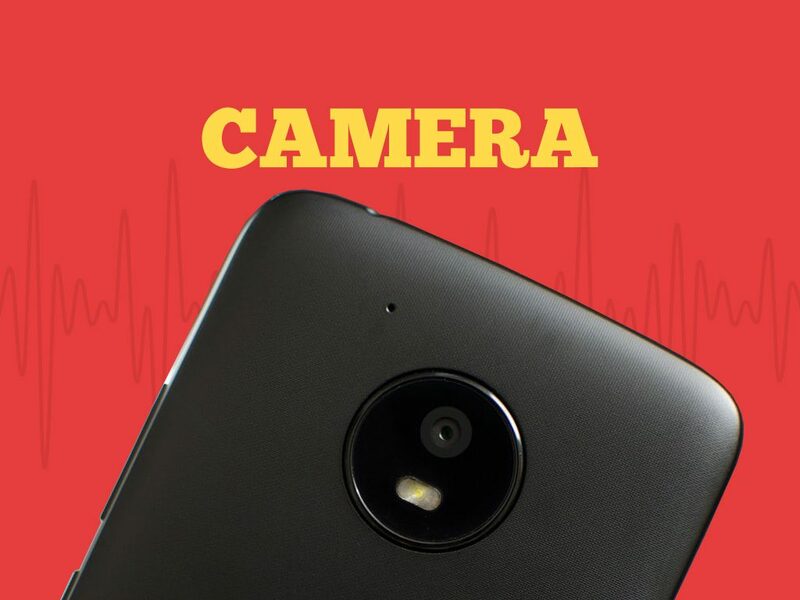 Initially, you can assess a smartphone’s specs from these five key factors: processor, RAM, internal storage, battery life, and the camera quality. Processor. Basically, a smartphone’s processor is stated based on the number of cores and the speed in gigahertz (GHz). These numbers indicate how powerful and fast the smartphone will be able to run the games and apps that you prefer to install. Random-access memory (RAM). RAM is measured in gigabytes (GB) and refers to the overall amount of storage the device is capable of multitasking apps. When it comes to RAM, it is true that the higher is better. This comes most necessary if you’re the gamer type of smartphone user as games require more RAM than any other apps. Internal storage. 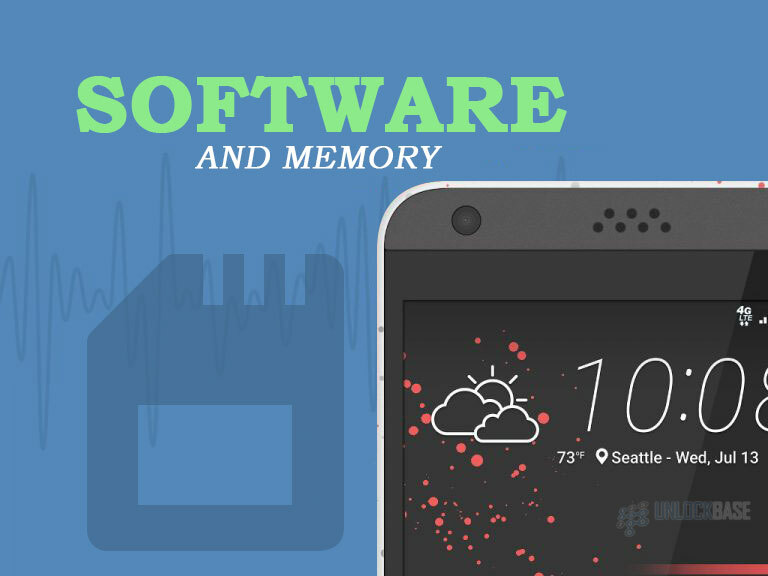 A device’s internal storage, or memory as some would call it, also plays a huge part in preventing app crashes. This also comes in handy if you are the type of user who loves storing music, videos, photos, and other files. Battery life. 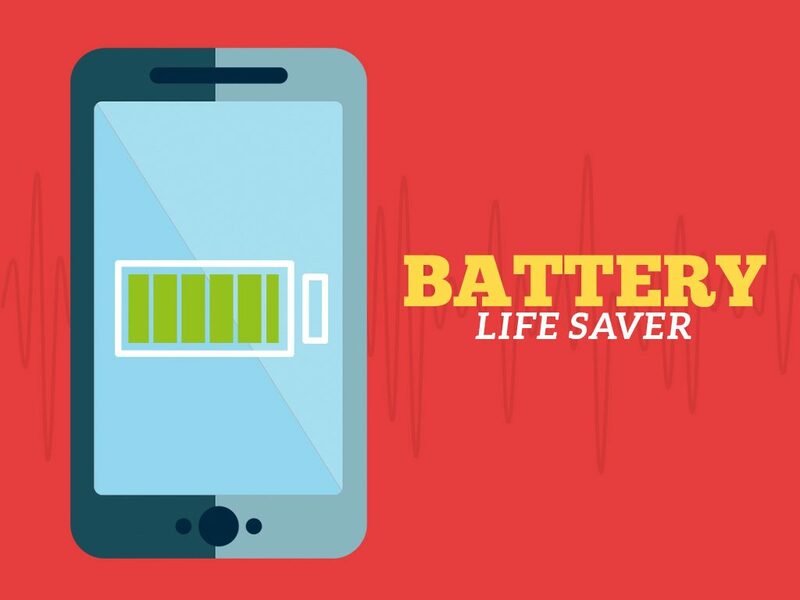 Today, the maximum battery life of smartphones has increased to 5000mAh, providing a longer time for users to play and chat on their phones. Camera quality. Camera quality isn’t an issue today, given that more and more smartphone brands tend to commercialize better, competitive camera lenses. Typically, camera quality is measured in megapixels (MP), and as long as cameras are concerned, the higher the MP, the better. However, if you are keen on the camera details, you may also go further into the specifics such as the aperture, shutter speed, zoom lens, and others. However, it would be best not to rely on what is written on the paper. In assessing specs, it is still better to try a demo device or go through phone reviews online for real-world assessment. Once you have narrowed down your preferred units based on their specs, you can also filter them with what particular features they offer. In the first place, this is where these smartphones remain distinct from each other. It may be the phone’s display, screen size, or the body of the handset. Today, color also matters to consumers including old rose, gold, and matte black variations to name a few. However, given the tough competition when it comes to features, most well-known brands prefer going for functionality over aesthetics. Thus, the rise of waterproof and shock resistant smartphones – from the 2, 2.5, and 3D glass panel displays, wireless charging, Micro SD slots, removable battery, in-cell navigation buttons display, to the continuously innovating fingerprint technologies that people are looking forward to for a while now. Of course, you will need to consider the price range in choosing your smartphone as well. Typically, iOS phones are much more expensive than Android phones. This includes Apple’s iPhones and Samsung’s Galaxy Edge units at the top of the list. If you prefer, however, a lower cost yet phones that run on Android, you may opt for a HTC, Huawei, LG, or Motorola product. Don’t rush though, since there are a lot of brands to choose from. In addition, a variety of deals from carriers that you can take into your advantage. As highlighted in these tips, it is truly important that you choose a smartphone that fits your preference, lifestyle, and budget perfectly. Through this, you will be able to find satisfaction on your next smartphone. HTC has built a reputation over the years for its high-quality, premium looking smartphones. 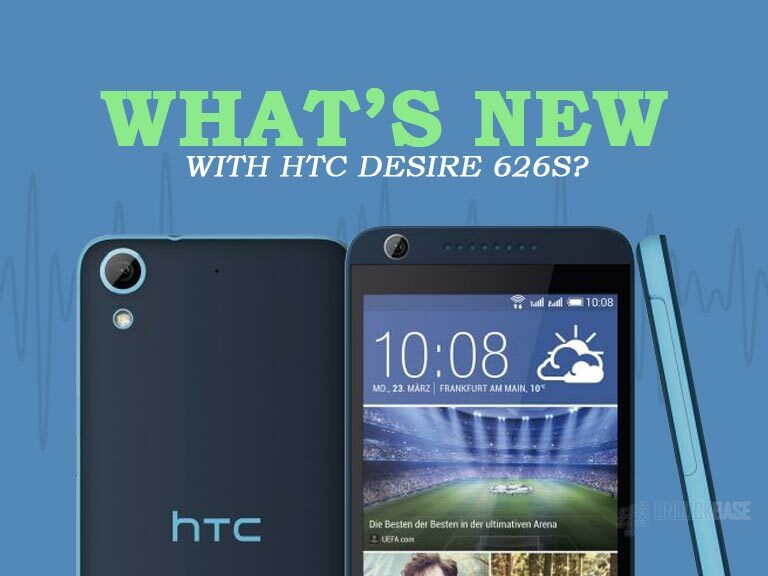 With that said, it won’t be a surprise if the brand will continue to add yet another impressive and affordable unit to continue the Desire lineup, which goes by the model name: HTC Desire 626s. Similar to the previous Desire units, HTC Desire 626s sports a premium look with the polycarbonate material that covers its body. More so, it allows a variety of dual tone color options that customers can choose from. With regards to the handset’s details, the device’s sides include the volume rocker and the power button on the right, and the flap that shelters the MicroSD and SIM card slots on the left. At the upper part of the device is the headphone jack and at the bottom is the micro USB port. As usual, the front displays the speakers both at the upper and bottom part of the panel, and the front camera is located at the upper left corner just beside the speaker. Looking at the back of the device, there’s nothing new but the usual placement of the rear camera at the right corner with the LED flash just below it and the brand’s logo at the middle. The design’s pretty much similar to its predecessor and is proven to be user-friendly as well. 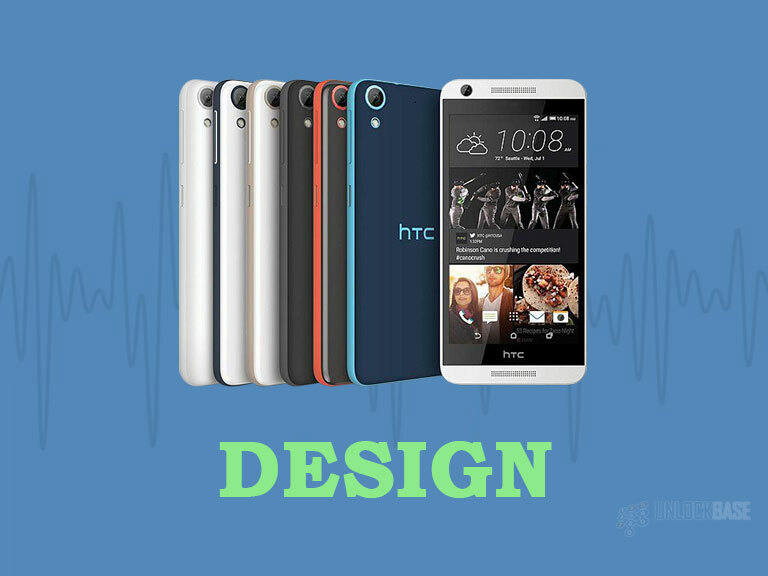 When it comes to the display panel, the HTC Desire 626s features a good 5-inch LCD display with 1280 by 720-pixel resolution. While the handset’s body allows the user a good grip given that it only measures up to 5.78 by 2.79 by 0.32 inches and weighs to 4.90 ounces. Given these specs, the design’s definitely one reason to go for the Desire 626s. Being an entry-level unit, the HTC Desire 626s offers a rear camera at 8MP which features autofocus setting and LED flash. It also includes a 5MP front camera that takes good selfies. Beyond these specs, the unit also allows a bit of tweaking with its camera settings including ISO, white balance and exposure. 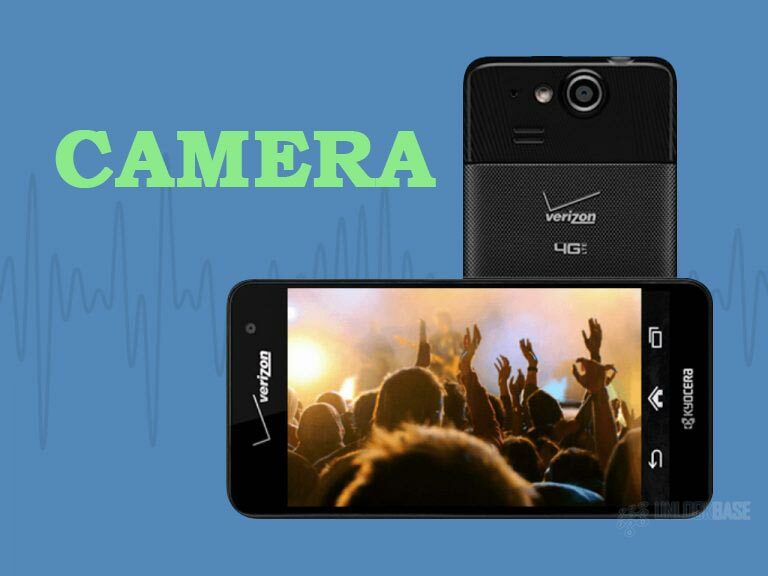 Both cameras can also shoot quality videos with a resolution of 720-p at maximum. 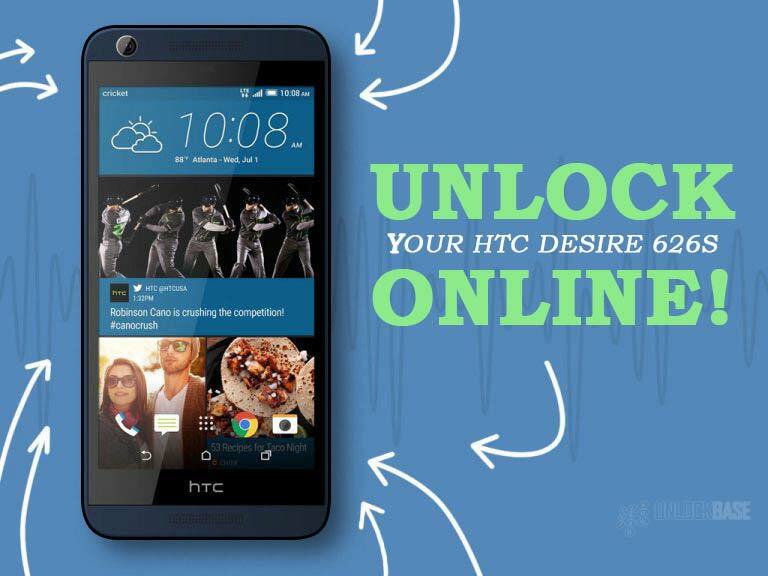 Favorably, HTC promotes quality over price on this one. 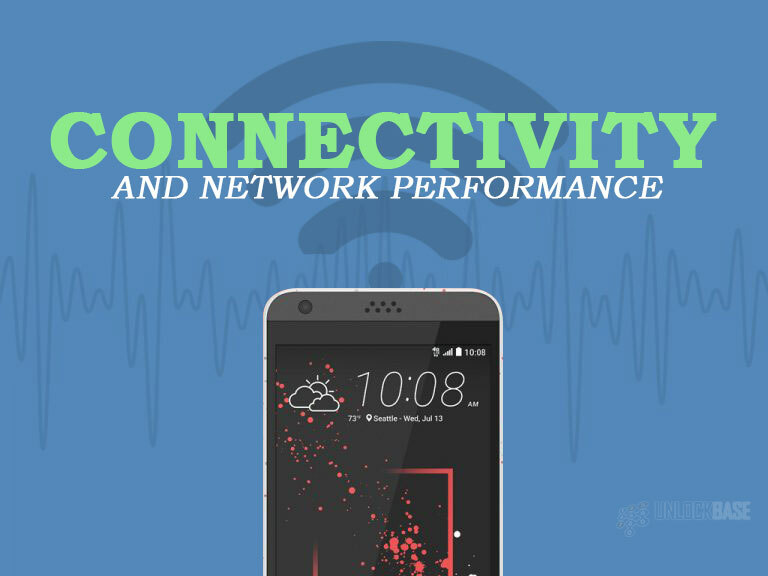 It is particularly impressive that HTC Desire 626s’ connectivity options include Bluetooth 4.1, Wi-Fi at 2.4 GHz, and A-GPS with GLONASS, retaining its predecessor’s good points. Additionally, the handset supports both GSM and LTE bands, hence, a fast connection can be expected that shall allow quick downloads and uploads. It also does great when it comes to the call quality, as it is especially free from unnecessary crackling and background noise. 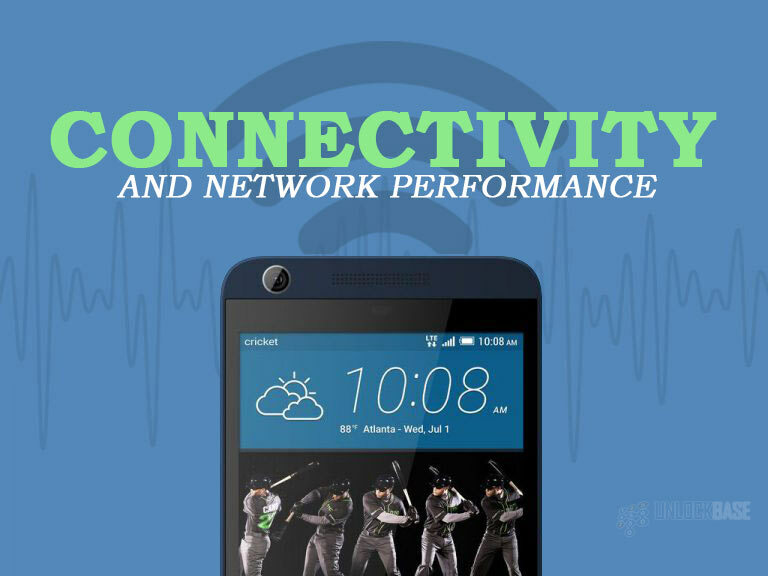 Much can be expected from its connectivity and network specs despite it being an entry-level smartphone. 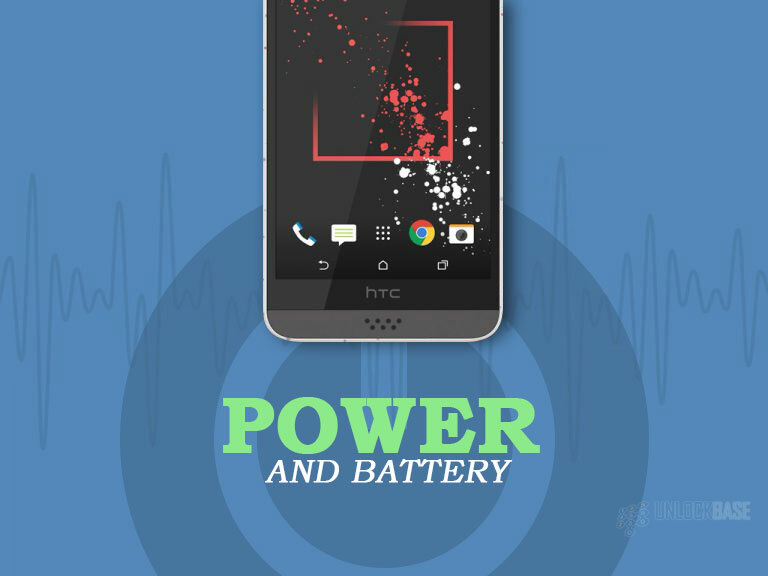 The HTC Desire 626s flaunts a Qualcomm Snapdragon 210 processor which is clocked at 1.1GHz and a good 1GB of RAM. It allows multitasking though at a limited manner. Furthermore, the device is backed up with a 2000mAh battery that can last a day with up to 22 hours of calls made and 720 hours if it’s in standby mode. 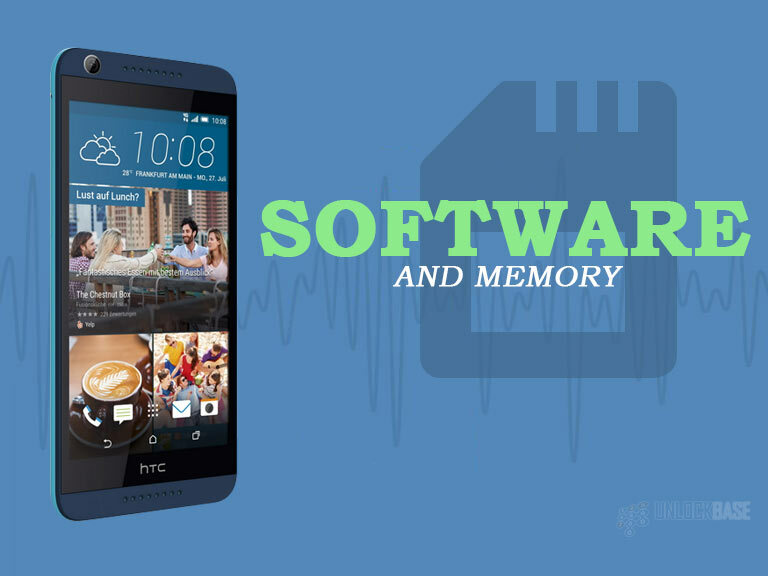 HTC has a well-known reputation when it comes to quality software experience and the Desire 626s can attest to that statement. 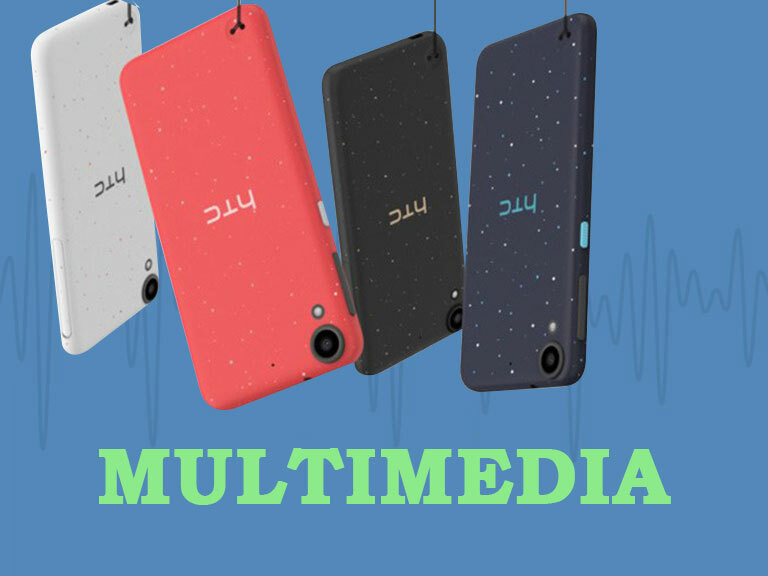 The unit runs on Android 5.1 Lollipop along with the brand’s custom UI – the HTC Sense 7.0 skin. It allows an amount of difference when it comes to the icons, the notification area, and the settings menu that customers will surely appreciate. 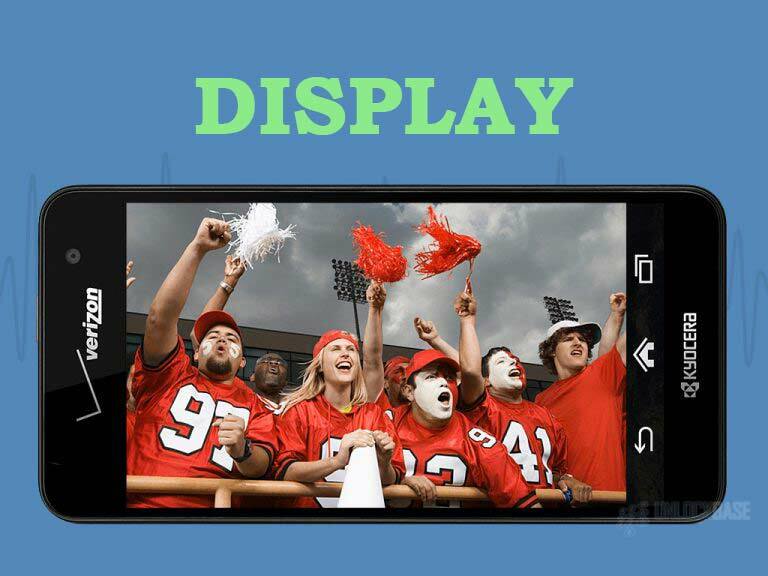 Furthermore, it includes HTC’s BlinkFeed feature which displays news, sports and weather updates, and a lot more information that may be relevant to the user’s interest. Aside from HTC’s custom features, the unit also includes pre-installed apps that are user-friendly, and will surely ease the users’ effort on installing particular apps given that these are already installed by the brand. HTC has introduced yet another desirable unit to the world – given that it’s premium looking, has good camera specs, and is very affordable in terms of pricing. 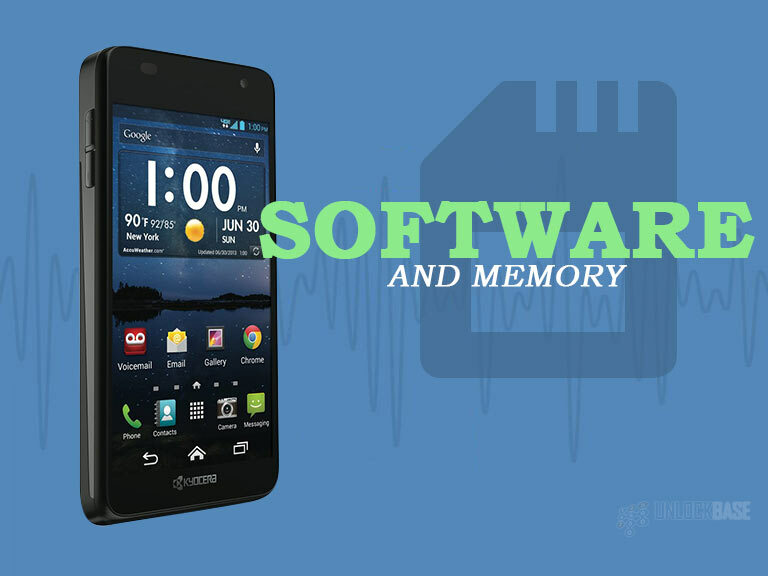 More so, it provides users a great software experience that is lacking from its rival units. Going further, it gives users the freedom to be themselves with the varying dual tone color schemes that they can choose from. This unit definitely aims the youth in the market. A good entry-level smartphone like HTC Desire 626s is not enough if its features are restricted. That said, why not opt for an unlocking service from UnlockBase? Being the leading unlocking service online that has catered to various smartphone brands and models over time, UnlockBase has been proven to be capable of unlocking your device in an efficient and safe manner with the use of Device Unlock APP. Basically, the app allows the customers to easily request and apply for unlocking on the comfort of their own device without any manual codes to input. 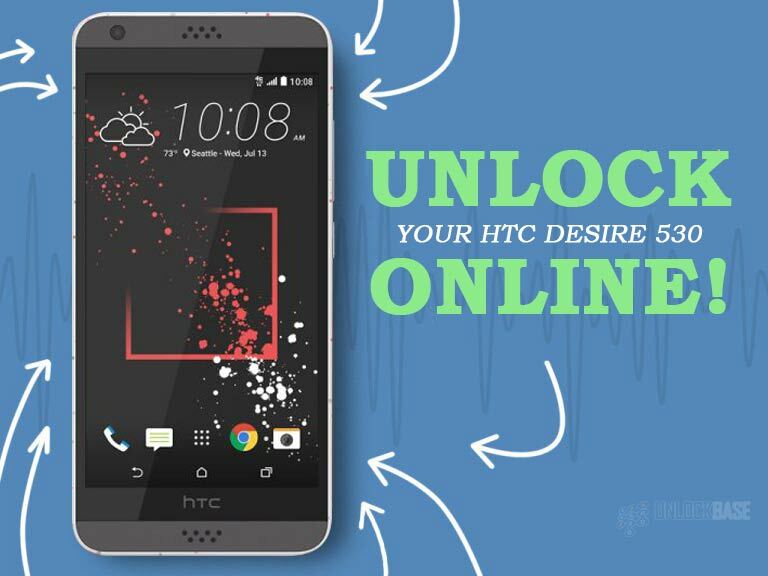 Trust the process and get your phone unlocked with UnlockBase today! 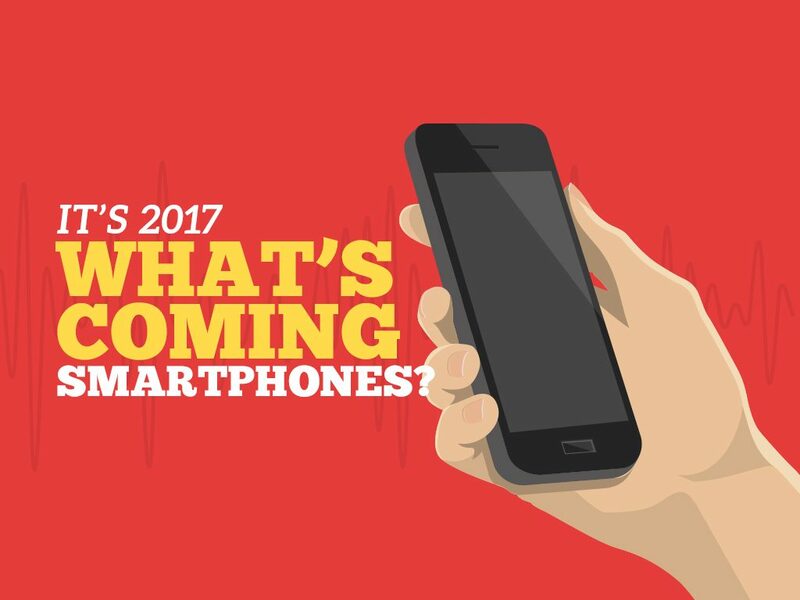 It’s 2017: What’s Coming, Smartphones? It cannot be denied that today’s generation is particularly all about technology – from the “unlock my phone” era that enables phones to use preferred networks to the newest fingerprint scanning technologies that made accessing phones possible through a tap of your fingertips. Truly, there is a lot to look forward on smartphones. However, what are they in particular? Here is a list of 2017’s newest smartphones you shouldn’t miss and should think about if you are looking for a new phone! Despite having been released at the market on April 21, Samsung is still worth the overview. 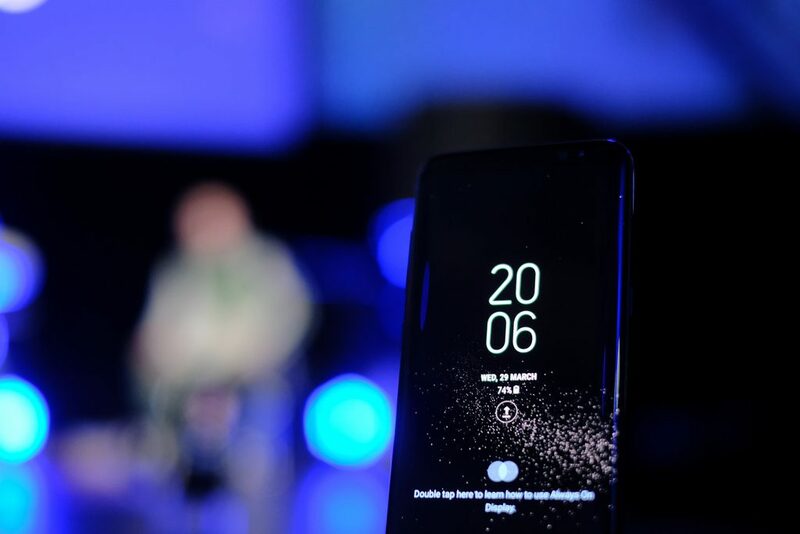 With the grand launch of the said brand’s most awaited smartphones, the Galaxy S8 and S8 Plus, new impressive features have come in addition to Samsung’s renowned ‘edge’ series. Its sleek design and curved edged body further emphasized the handset’s infinite display that measures to 5.8 and 6.2 inches respectively. In addition, given the infinite space at the front, Samsung chose to move the fingerprint scanner at its rear just beside the 30MP camera. More so, the units also feature Samsung’s very own digital assistant, Bixby, which served as its newest star-feature. Xiaomi’s popularity over time has extended far and wide, hence, it is pretty much one of the most anticipated brands of 2017. 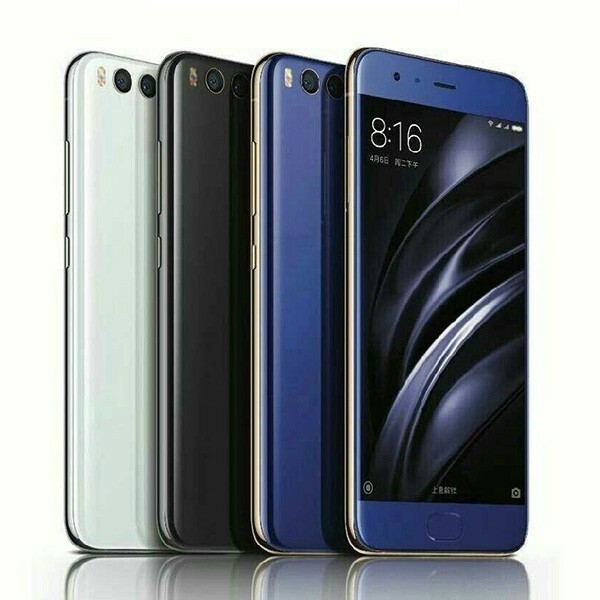 On April 19, Xiaomi Mi 6 has moved the bar to another level with its impressive specifications, more so, on the expected launch of Xiaomi Mi 6 Plus in the latter half of 2017. To date, Xiaomi Mi 6 features a metal chrome that supports its glass back and refined stainless steel structure which is available in blue, black, and silver color. Furthermore, it is sold in 64GB and 128GB and in regular and premium ceramic models. What is great about this brand is it has high-end specs yet is still affordable. 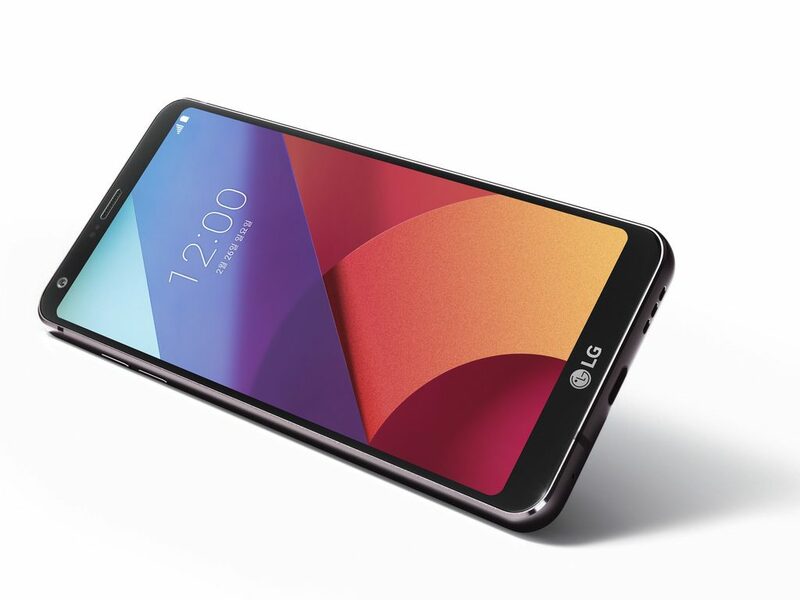 LG has been exciting its loyal customers and the world with its newest premium unit, the LG G6. LG G6 was first launched in South Korea but was not available for the rest of the world until April of 2017. The unit features a 5.7-inch FullVision 9:18 display that showcases a larger display given its compact body which is designed with shock and water resistance. In addition, it is running on a Snapdragon 821 processor with 4GB of RAM storage allowing maximum usage on the device. Being the lead in technology today, Google launches yet another duo that will surely hit the market flawlessly. Aside from its predecessors’ great camera and software experience, Google’s Pixel 2 and Pixel XL 2 lineup boasts a pure android experience given the brand’s newest version of AI-based Google Assistant. 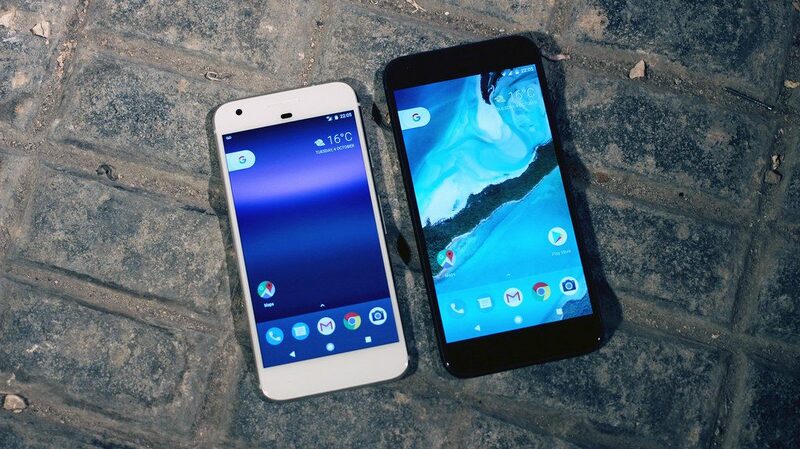 However, Google admits the flaws that appeared in the previous Pixel units – which hopefully, will be addressed upon its launch this year. 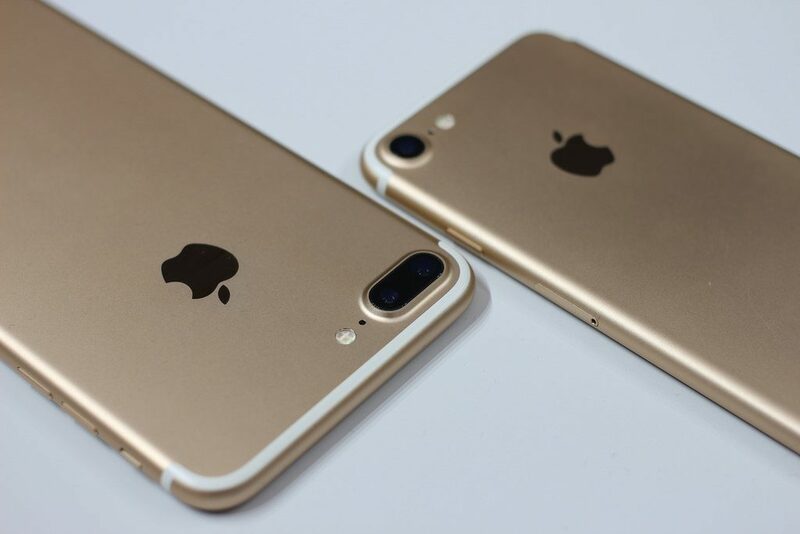 Apple has just launched iPhone 7 last year, but the anticipation over iPhone 8 (or whichever it may be called) has been going on for about a while now. Having this mentioned, there were leaks upon the design of Apple’s newest unit in which according to CNet – will include “…a huge redesign on its OLED display, wireless charging, and of course, its operating system that are expected to feature some high-end AR capabilities.” However, given the latest updates on fingerprint technology, Apple seems to be redesigning their flagship on touch ID as well. With the progress that the recent discoveries in technology have contributed to the world, it is no doubt that there are more to come for smartphones today, tomorrow, and the incoming days. So keep your eyes open for the next smartphone updates and be ready to experience them at its fullest! Over the years, one can say that Motorola definitely knows how to market good phones at a budget price. 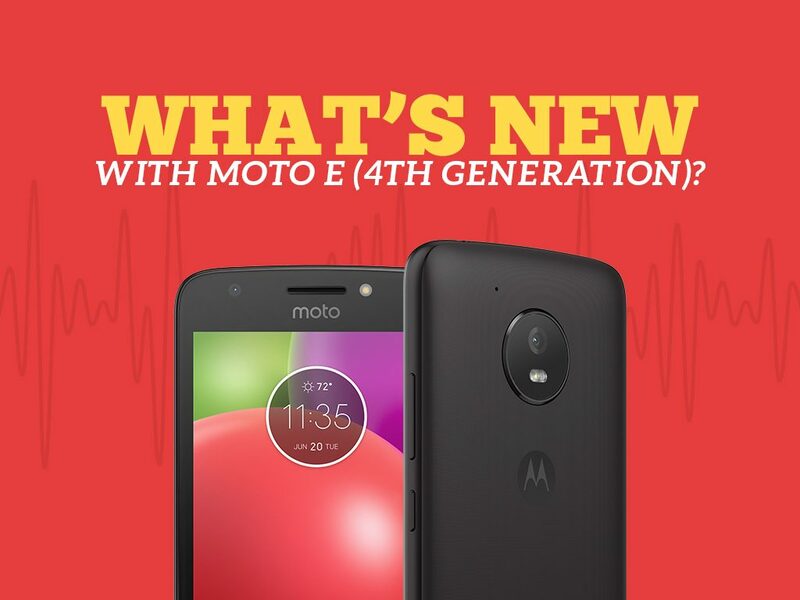 The latest Moto E unit, Moto E 4th generation (also Moto E4), has ignited the curiosity of most consumers given the success of Motorola’s previous Moto E units. 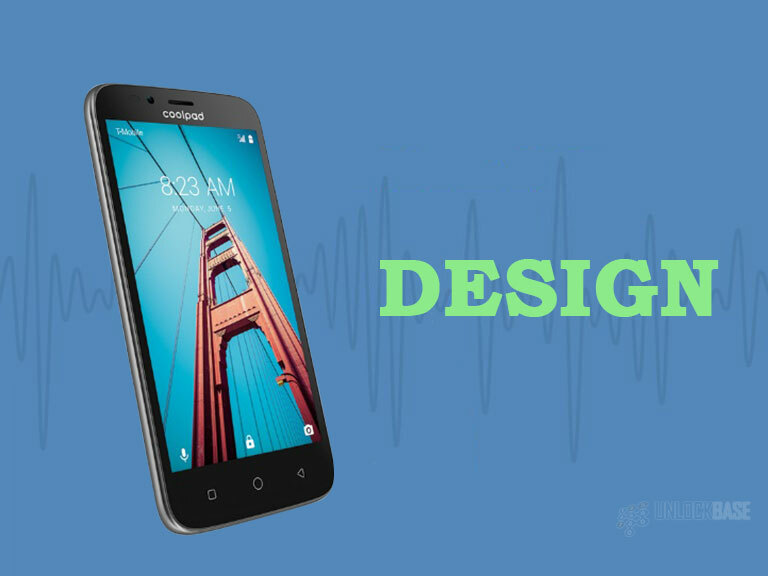 Though this handset may not level to a Moto G5, it surely provides for those who are looking for a budget phone that can offer satisfactory user experience. It is a great budget phone that is worth a second look! Released in June 2017, the Moto E displayed a similar look from its predecessors. From the usual oval fingerprint sensor at the bottom of the screen to the huge and round rear camera section. However, what sets it apart from the previous Moto E units is that its frame is made of plastic material instead of aluminum. In addition, it is relatively smaller in size measuring only up to 5.70 by 2.85 by 0.37 inches. The phone looked more solid than expected despite being covered with plastic material. More so, it gives a good grip with the texture of its back panel – preventing the device from slipping off from your hold. Consequently, it projects a 5-inch IPS LCD display panel with a 720 by 1280-pixel resolution, boasting a clear, good-for-outdoors viewing experience. It is protected by a Corning Gorilla Glass 3 that simply adds to the quality of the unit. On navigating the handset, one can find all the right details on the right places. 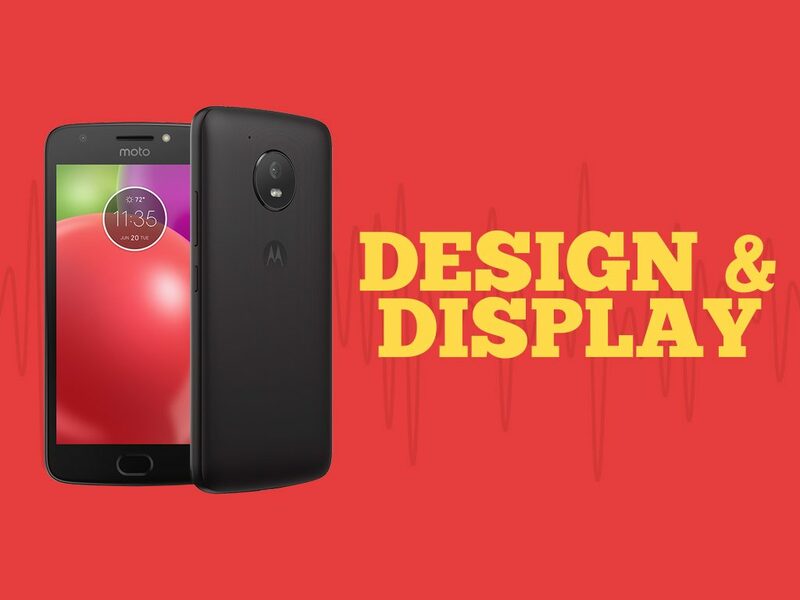 The fingerprint sensor at the lower part of the front frame, the selfie camera and earpiece at the upper front, the 3.5mm audio jack at the bottom, and the volume rocker and power button at the right – definitely, the Moto E’s designed to be smooth and user-friendly. Additionally, the unit sports an on-screen navigation button, thus, setting the bar for budget phones. With today’s market, it becomes harder to buy a budget phone with a good camera. But Moto E provides a good one compared to its competitors given its price range. It flaunts an autofocus 8MP main camera that enables users to capture significant moments in crisp and beautiful photos. More so, with its 5MP front camera that goes hand-in-hand with an LED flash, which equips the user to snap their best selfies for sharing on their social media accounts. Furthermore, the device is also capable of shooting better videos with 720-pixels at 30fps. 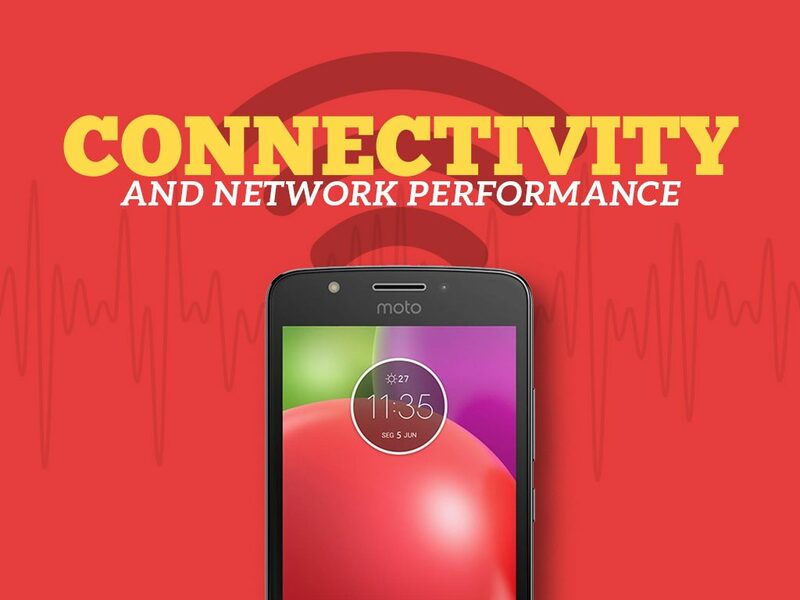 With MetroPCS as its carrier, the new Moto E is equipped with just the right connectivity protocols including Wi-Fi 802.11 b/g/n, Bluetooth 4.2, A-GPS with GLONASS, and an on-the-go micro USB 2.0. 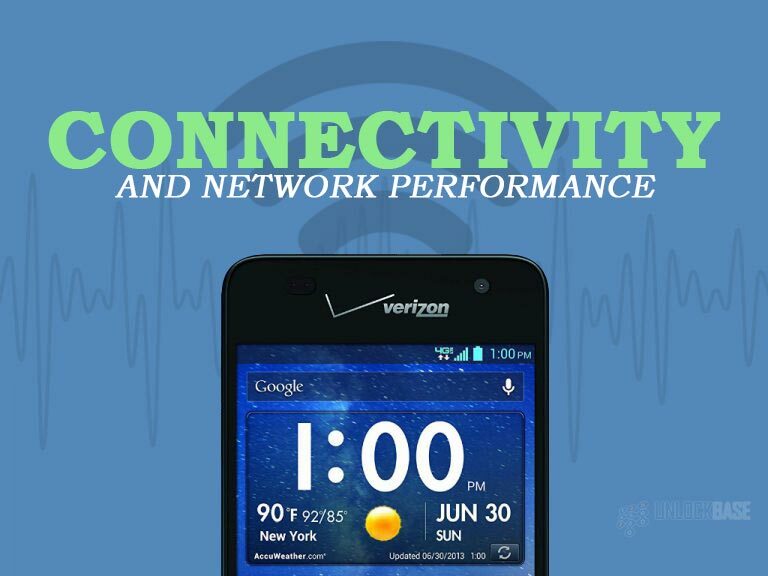 Regarding its network performance, users would not need to worry as it is also LTE-capable. 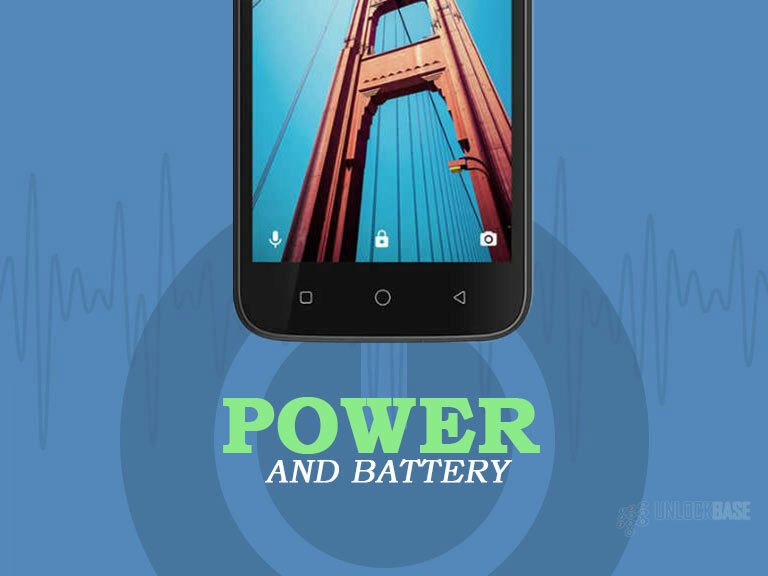 Going further, the Moto E’s powered by a quad-core 1.3GHz Mediatek MT6737 and 2GB of RAM. It is equipped enough for daily multitasking and a day or so of usage, especially that Motorola has provided a 2800mAh battery capacity to the said unit. Since the Lenovo acquisition, there were fewer custom features that the Moto X has showcased in the Moto E series. However, what makes the unit simply impressive is that it is running on the latest Android operating system, the Nougat. 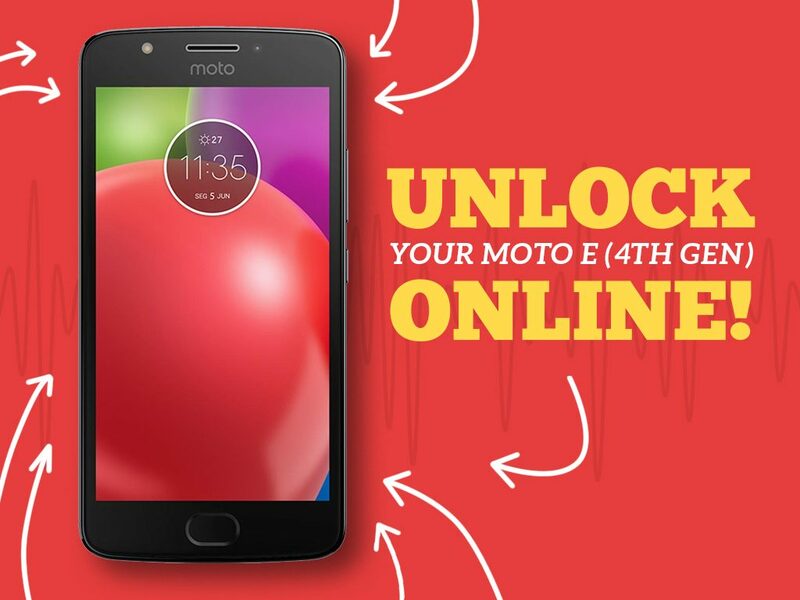 It is a great deal for a budget price phone such as the Moto E.
Furthermore, the handset also includes a 16GB of built-in storage, extending its efficiency and a good micro SD card slot that can accommodate up to a good 128GB of additional storage. 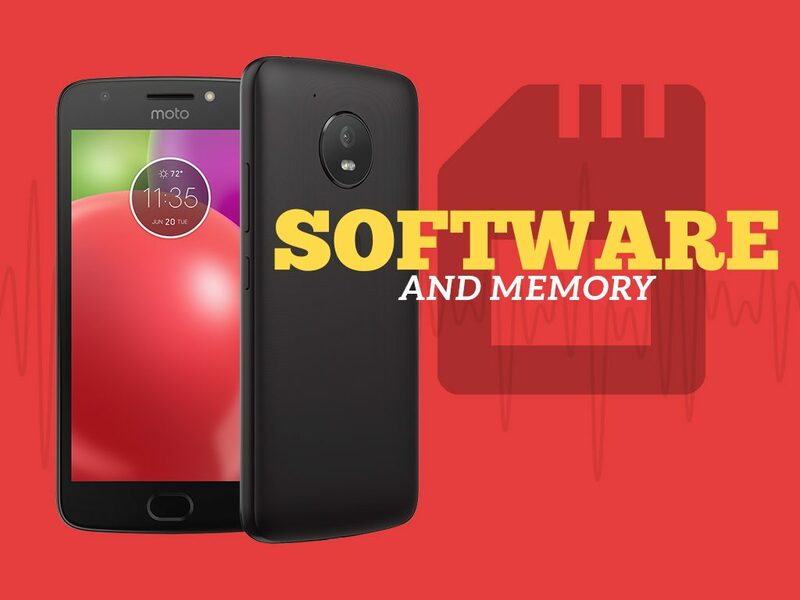 What Motorola offers the market is not just a cheap phone, but a budget-friendly phone that can accommodate a user’s daily needs. 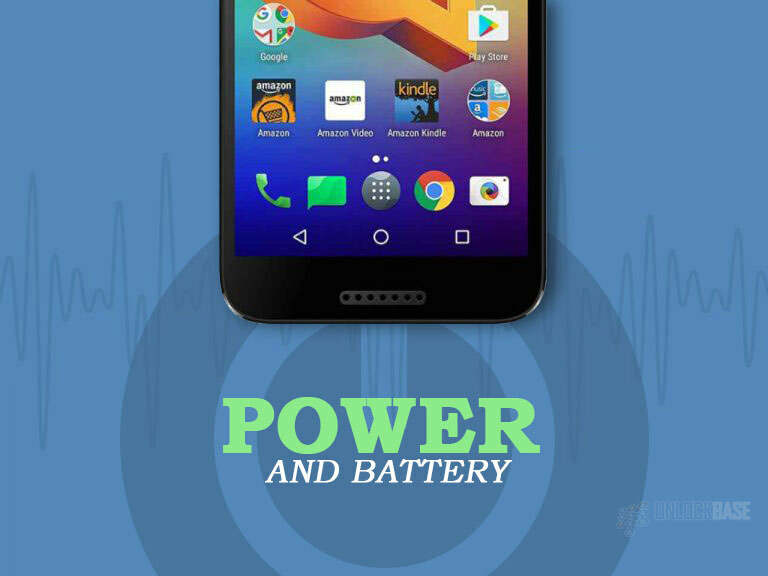 With the Moto E’s vibrant 5-inch LCD display that is coated with water-repellent, it is already too much for a phone of its price. The water-repellent nano coat prevents damage on the phone from a little rain, spills, and even splashes. It does not only showcase a great compact design, but also a user experience that one shouldn’t miss. For a budget phone like this unit, one cannot expect a fingerprint sensor included. But Moto E is sure to serve its customer’s convenience over price, hence, a fingerprint sensor equipped home button. A 5-inch LCD phone with 16GB of built-in storage and a fingerprint sensor included, what’s not to like? Not satisfied with the carrier network’s signal on your Moto E? 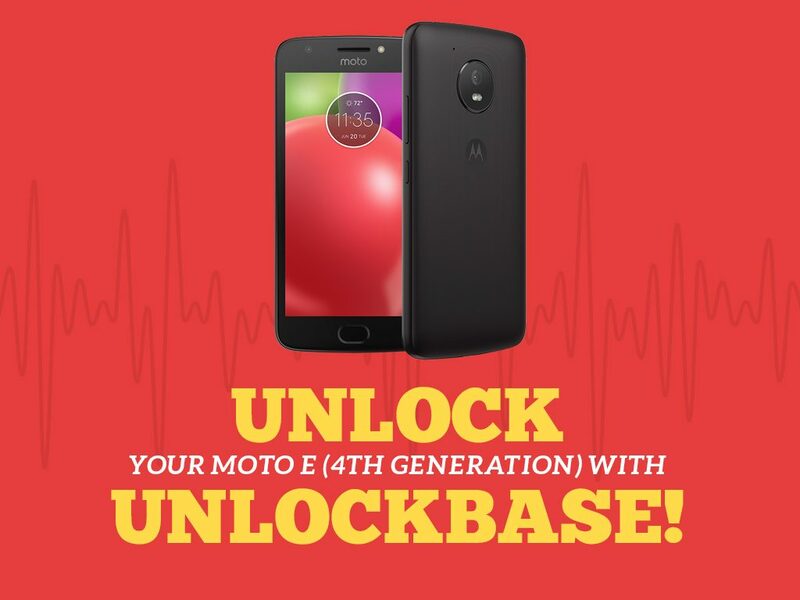 UnlockBase is here to help! We know how frustrating it could be by not being able to use your phone’s blazing fast 4G LTE capability, hence, we offer you our unlocking service to help you make the best out of your device. It is easy given that we use the Device Unlock APP which enables an easy request-and-apply transaction to unlock your device, on the comfort of your very own unit. Thus, no need to worry about manual codes! With UnlockBase’s reputation in the unlocking industry and over the Web, you will surely get fast, efficient, and reliable service. 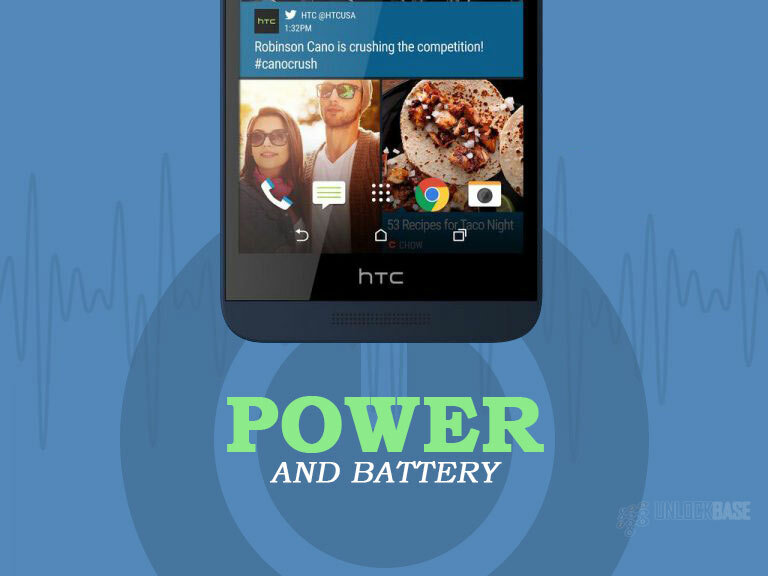 Moreover, it has a huge database of different smartphone brands and units that it can provide service for. Looking for details about the service? 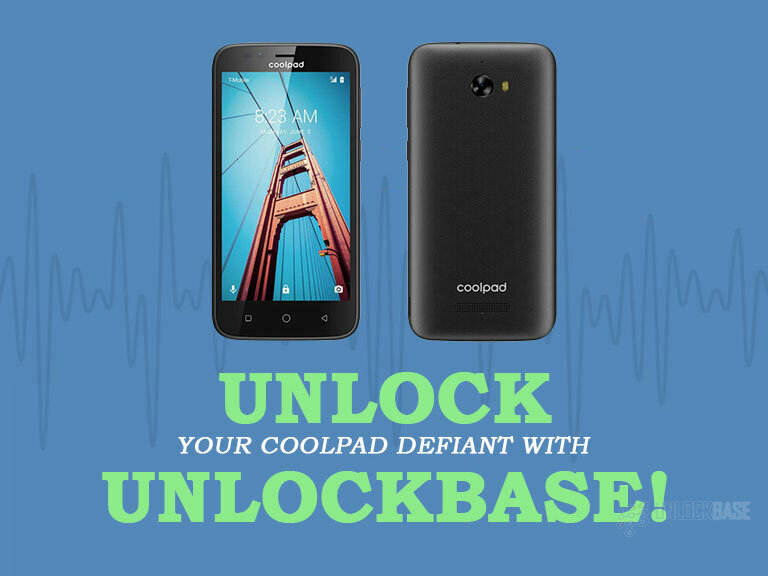 Contact UnlockBase now! 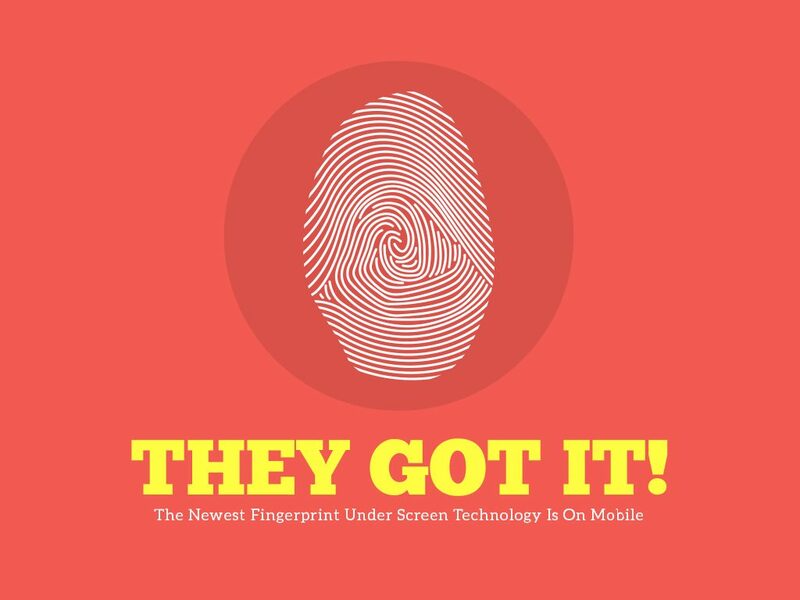 What’s new with under-screen fingerprint solutions? It is integrated under a phone’s display, specifically OLED displays that are at least 1200 micrometers thick, but does not work on LCDs. It is capable of scanning through the phone’s display panel, detecting blood flow and heartbeat regardless if it is on or off, and is working underwater or with wet hands. It takes in the form of Vivo phones, however, its availability in the market is yet to be announced. Smartphones today is not just about SIM network unlock pin codes and touch screens – rather, it revolves around new technologies that brands can offer to the market. With regards to the latest offerings of prominent smartphone brands, each has something new to offer. However, the newest fingerprint technology, courtesy of Qualcomm and Vivo, is just stellar to not notice. In simple terms, this means that this technology is capable of scanning through the phone’s display panel (as long as the display is made of an OLED panel and is 1200 micrometers thick). However, it does not end there – as their newest technology is also capable of detecting blood flow and heartbeat regardless if it is on or off and is working underwater or with wet hands. 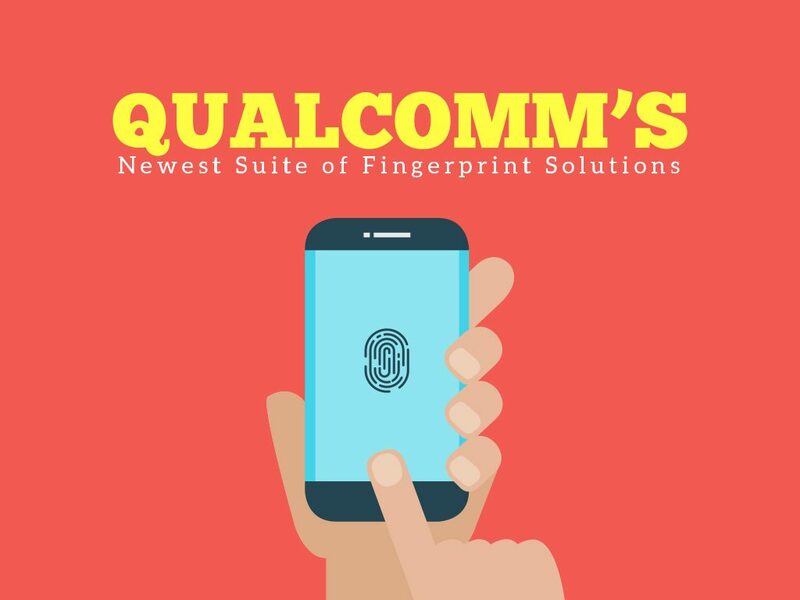 With these features stated, not only did Qualcomm increased the standard of fingerprint scanners, rather, they made it easier and convenient for people who are doing work on mobile. 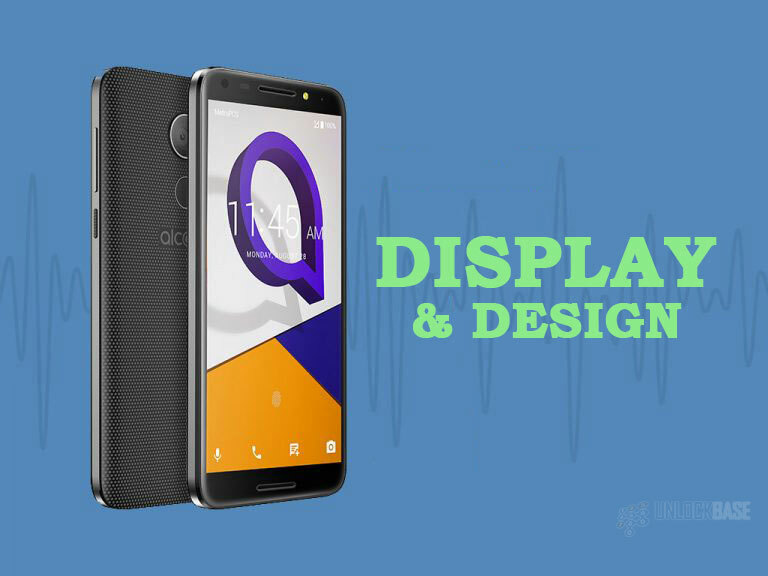 Additionally, along with the under screen fingerprint solution, Qualcomm offers two basic scanner schemes that are also cohesive of their ultrasonic technology and is applicable to both metal and glass displays – except under display. These particular scanners may appear on the market sooner than their premium solutions (as these are expected to be available around summer of 2018). Of course, this technology wouldn’t be made of use to the market without physical integration – hence, Vivo, the Chinese phone maker who are well-known for its quality yet affordable smartphones. In a video going viral today, Vivo has shown people the latest under display fingerprint technology in action. 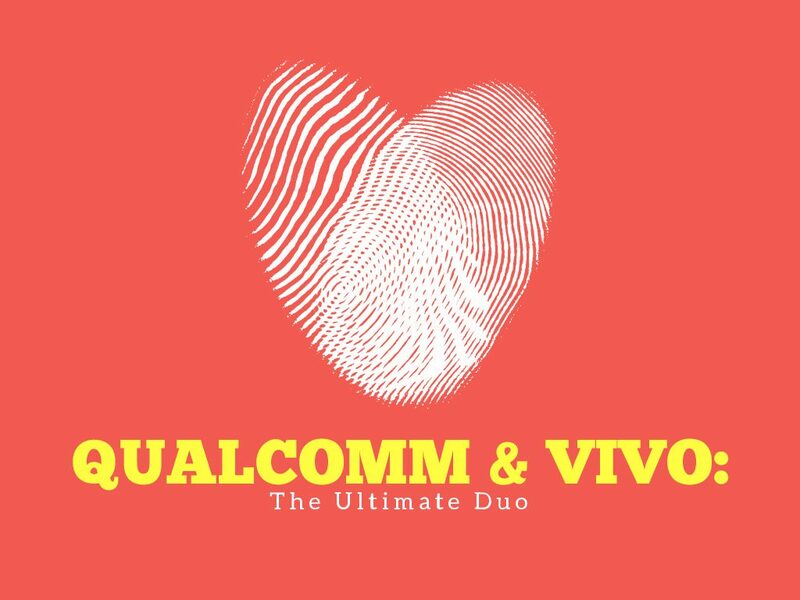 However, the public was much more impressed by the demonstration of the technology in action during the MWC 2017 – where Qualcomm and Vivo showcased the Qualcomm Fingerprint Sensor integrated modified version of Vivo XPlay 6. In a later demonstration of this technology at the same event, Engadget shares that Vivo has also integrated the solution at the phone’s rear. The spot, when tapped, allows the phone to unlock, capture photos, and shoot videos underwater. Though this may have been evident in previous models of Sony and HTC, the application of the technology still makes it easier for people to use phones whenever, wherever. While it is true that the market was expecting more from Apple, Qualcomm and Vivo may have changed the phase. Given its latest applications of the newest fingerprint solutions, there is particularly much more to technologies that are coming in the form of smartphones. But the question is, is the market ready? In June 2017, the stellar-performing Chinese smartphone manufacturer, Coolpad, has released their newest budget-friendly unit that will defy all odds in the smartphone industry – the Coolpad Defiant. Given the growing popularity of the brand in China, it’s no surprise that it is able to extend its market to India and in the United States. With that achievement alone, what can customers look forward to in this entry-level device? 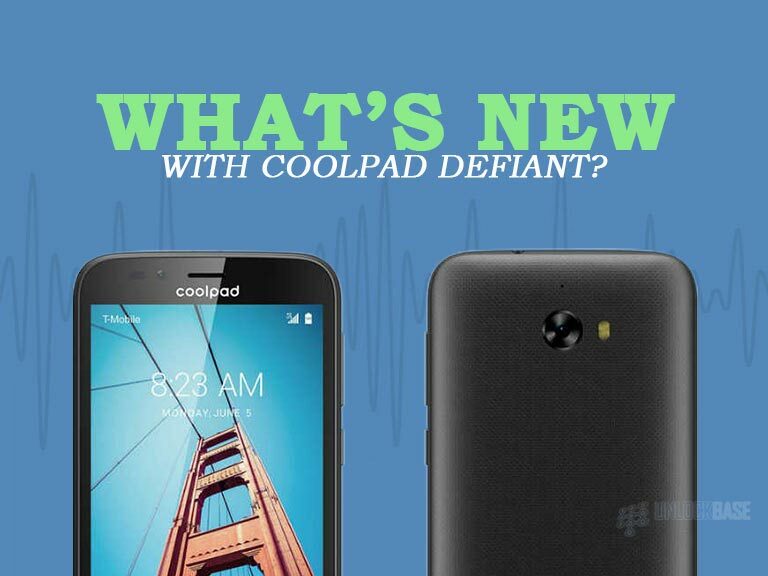 The newest Coolpad unit, Coolpad Defiant, sets the bar of most entry-level phones with its professional design. It’s 5.71 by 2.801 by 0.39-inch body is molded with durable material, and weighs up to 6.5 ounces allowing a comfortable grip for the users. The unit also flaunts a 5-inch TFT display with 854 by 480 resolution, with curved edges that frame its black colored borders. With regards to the details of Defiant’s structure, it sure displays a user-friendly button navigation. Its volume rocker and power button are both well integrated at the right side of the unit while the capacitive home, back, and recent apps buttons fill the bottom space. Furthermore, it also has the speaker, the selfie camera, and the sensor up front, and the main camera at the removable matte back panel of the unit. Coolpad definitely knows what consumers need. The Coolpad Defiant reveals a 2MP selfie camera and a 5MP rear camera that is equipped with autofocus and LED flash features, allowing a good shot for outdoor photos. Additionally, the handset’s capable of shooting 720-pixel video recordings – is definitely a perfect device for casual occasions. Arguably Coolpad knows what the market wants, hence, integrating great connectivity protocols on the handset. It includes Bluetooth 4.2, Wi-Fi 802.11, and A-GPS that regular consumers can use in their daily routines. 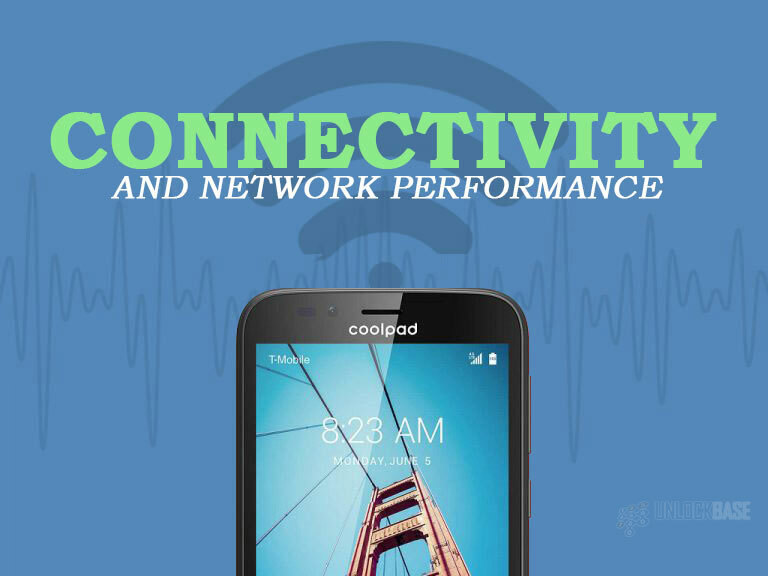 With regards to network performance, one can attest that Coolpad Defiant is capable of quick downloads and uploads given that it’s 3G and 4G capable. 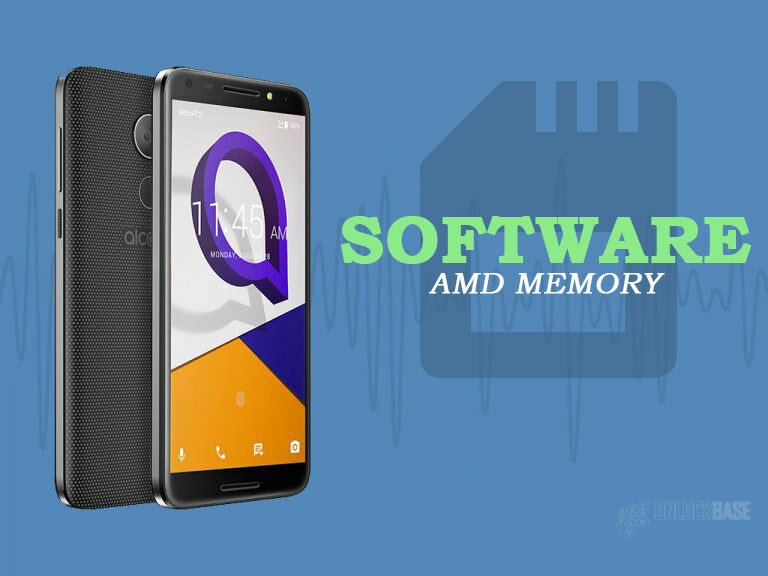 The handset is powered by a Qualcomm Snapdragon 425 MSM8917 processor which is clocked at 1.4 GHz and runs with 1GB of RAM, thereby allowing enough space for users who loves to multitask apps. More so, the unit’s backed up with a 2450 mAh removable battery which does not require high maintenance and can efficiently last a day’s use. As expected, being a 2017 smartphone, the handset runs on Android Nougat 7.0 – which can still be upgraded to the latest version of Android. This is alongside the fixed 8GB of internal memory and a MicroSD slot for additional storage extending up to 32GB. 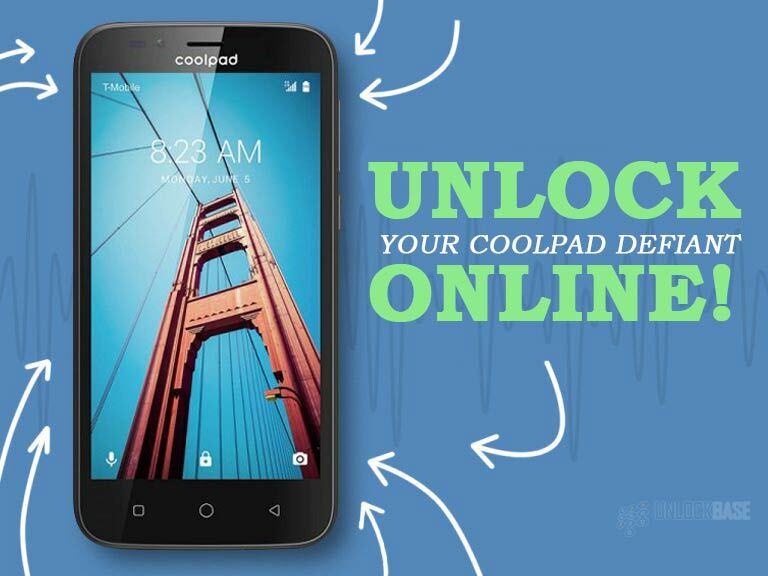 Coolpad revs up its game when it comes to producing smartphones. Despite being new to the global market, the China-based smartphone company introduces yet another smartphone favorite for smartphone lovers. Equipped with a fast processor, a 2450mAh battery capacity, and the latest Android version – the unit also flaunts its capability of band 12 LTE and the newest feature to date on smartphones, Rich Communications Services (RCS) messaging. Coolpad Defiant may not be enough if you can’t use your preferred network. Given that issue, UnlockBase is here to serve. Our service spreads far and wide over the web as we lead in the service of unlocking smartphones. Through our Device Unlock APP, we assure our customers that they can safely and easily request and apply for unlocking in the comfort of their own device. Want to learn how? Try our service now! 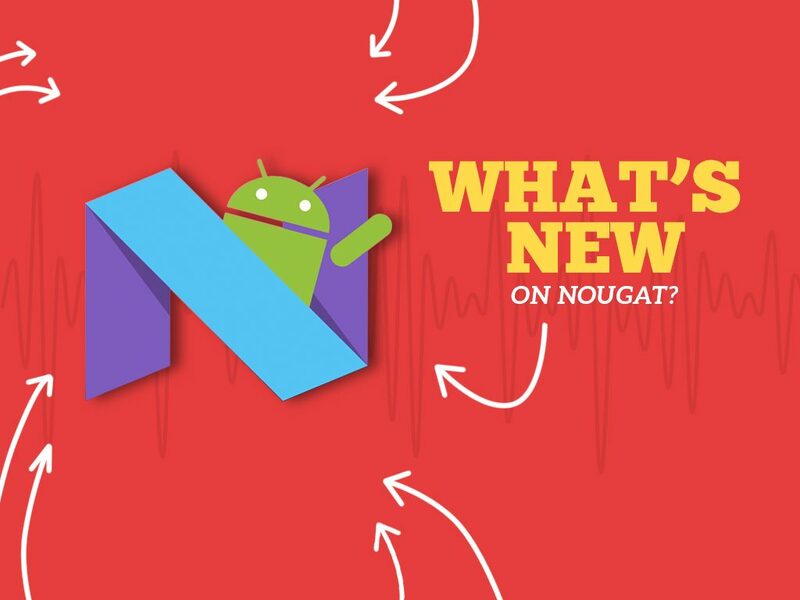 What are the new features on Android Nougat? With your Android phone finally free from restrictions, thanks to SIM network unlock pin codes, what’s next to look forward to? If you are still using Marshmallow, well, you definitely need to move to the newest Android update and enjoy its latest perks. Marshmallow may have turned the Android world upside down with its cool features, but Nougat will have you feeling cyber-secured with its update. However, what do these updates really mean? How does it help you further enjoy your device? Here are a few things to help you with. Multi-window viewing has been long incorporated on other custom UI layers, especially LG and Samsung. Hence, it is great to know that Google has now applied this very function onto Nougat. 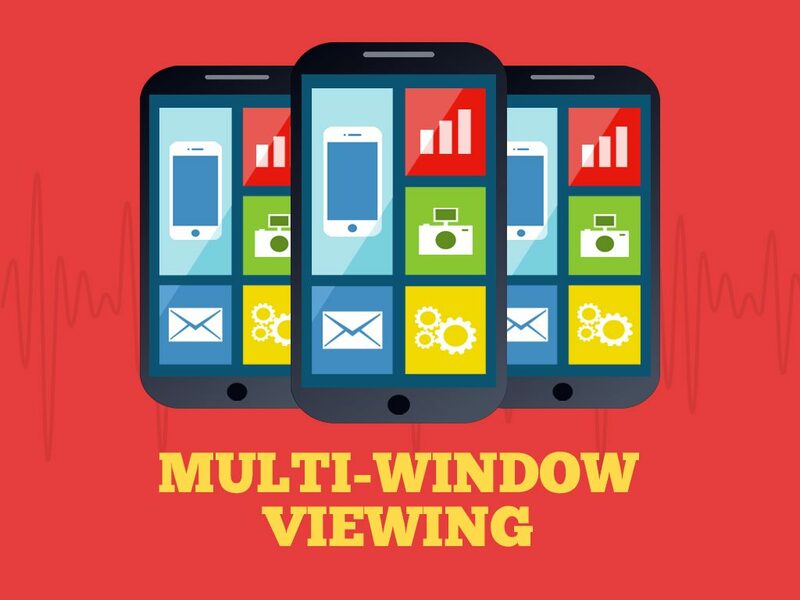 This function allows you to run two apps at the same time – be it watching a movie and taking notes. Going into details, multi-window viewing can be accessed through a long press on the recent tasks button (when you have already opened one app), and it will let you choose another app to open. Furthermore, this feature includes a drag-and-drop functionality which can help you move items like files from an app to another app. Before, notifications are notifications. But with the new Android update, you can now compose replies right on your notification – without leaving your current app! What’s great about this feature? It is not limited to Google’s very own Hangouts, but to every app that is on your device. Convenience at its finest! 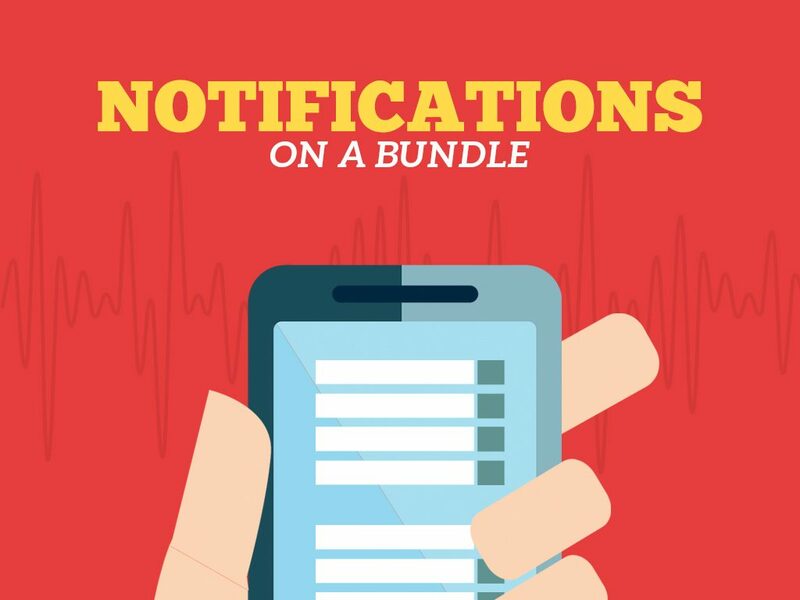 For this feature, all messaging app notifications are bundled according to their respective apps. 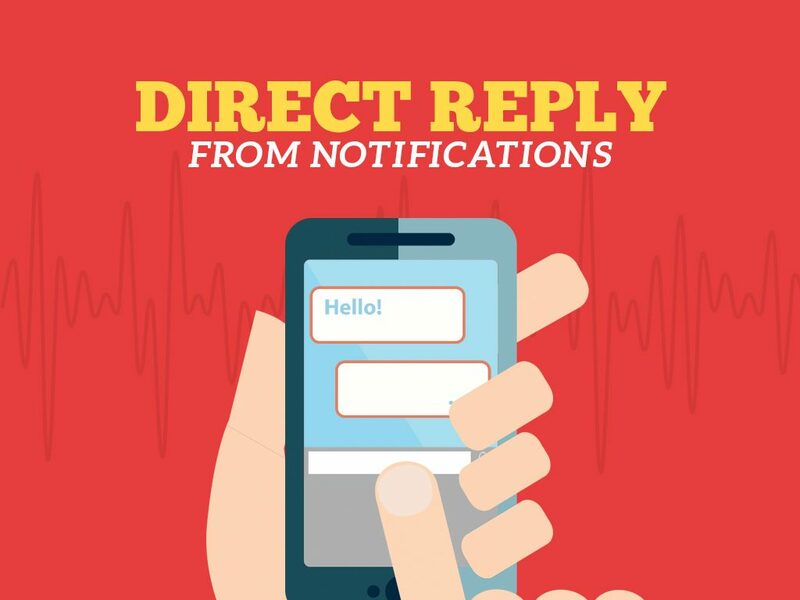 However, you can also expand these notifications individually by tapping the all-new expansion button or using a two-finger gesture. In addition, you now have control over your notifications, like you can either silence future notifications or turn them off. Doze Mode, the battery life saver which started in Android Marshmallow, continues to function in Nougat. This time, Google expanded the feature to thoroughly clean background tasks whenever the phone is turned off. Unlike before, where you still need to pull the notification bar down to access the quick settings menu, Nougat will just need you to make a downward gesture once to reveal the notifications and quick settings. What’s great about this option is that you can now sort the icons according to your needs and priority. Nougat did not only focus on things, rather, relevant things that create an impact on the device’s performance. First, you can see where your downloaded app came from especially if it’s not from Google Play Store. 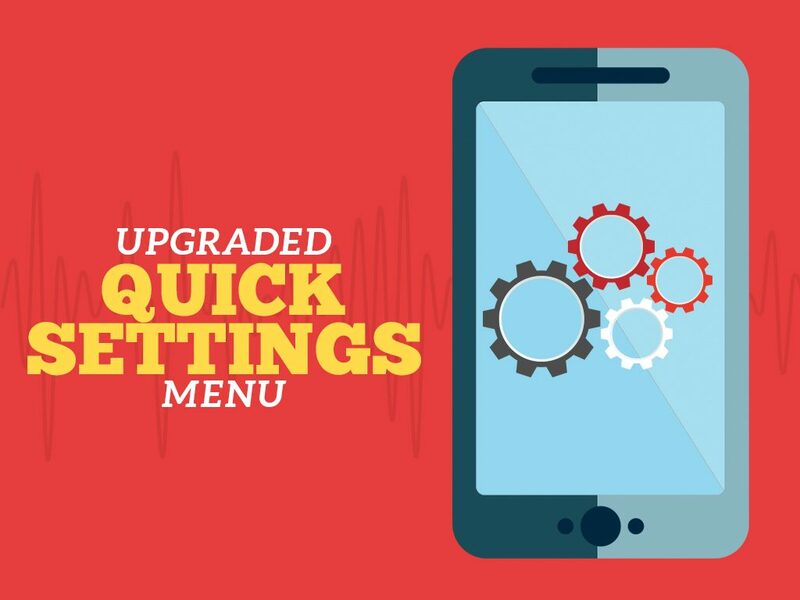 Second, updates are guaranteed to be more seamless, where security updates are downloaded automatically and the common pop-up “Android is updating” when restarting after an update is now removed. 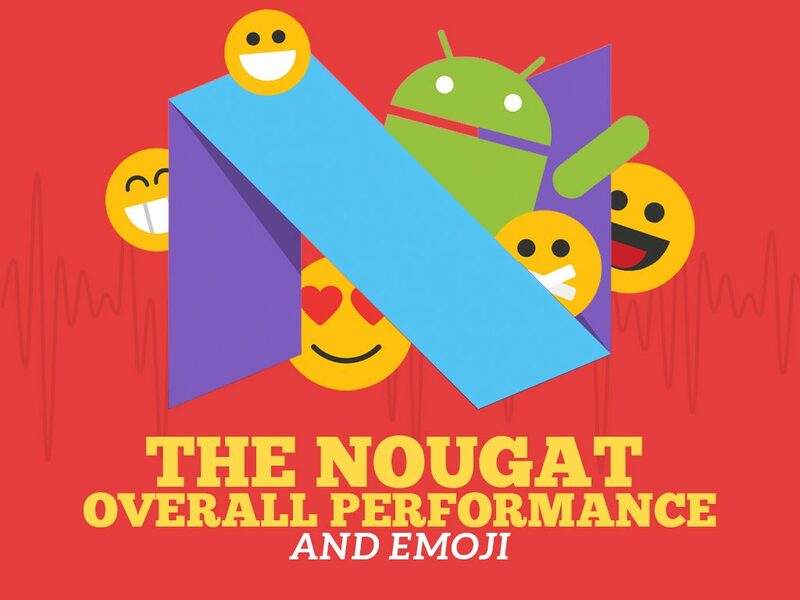 Last, Nougat brings support for Unicode 9 which meant the introduction of 72 new emoji – good news for all users who loves using emojis! Given these impressive functions and features, the Nougat is definitely the best Android version, yet. Functionality wise, it allows users to conveniently use their devices in a quicker and easier way. However, make sure to check if Nougat is already available on your device in order for you to enjoy the perks of the newest Android version today!